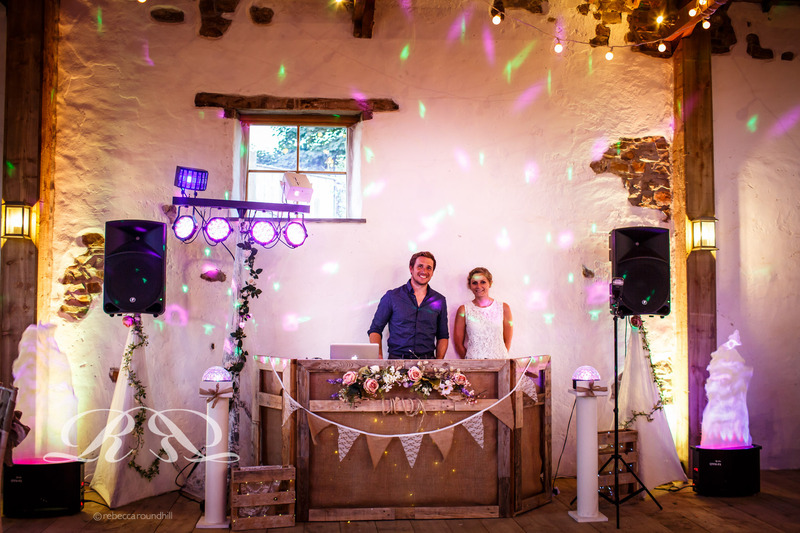 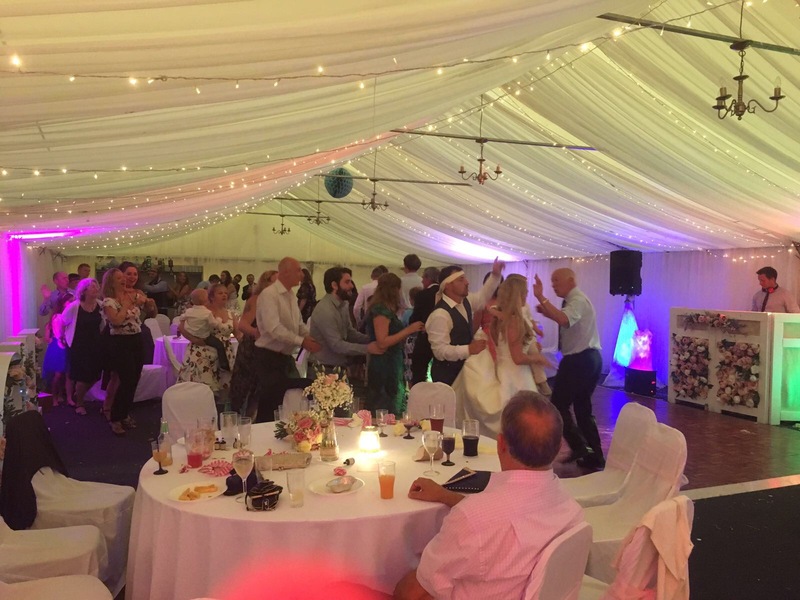 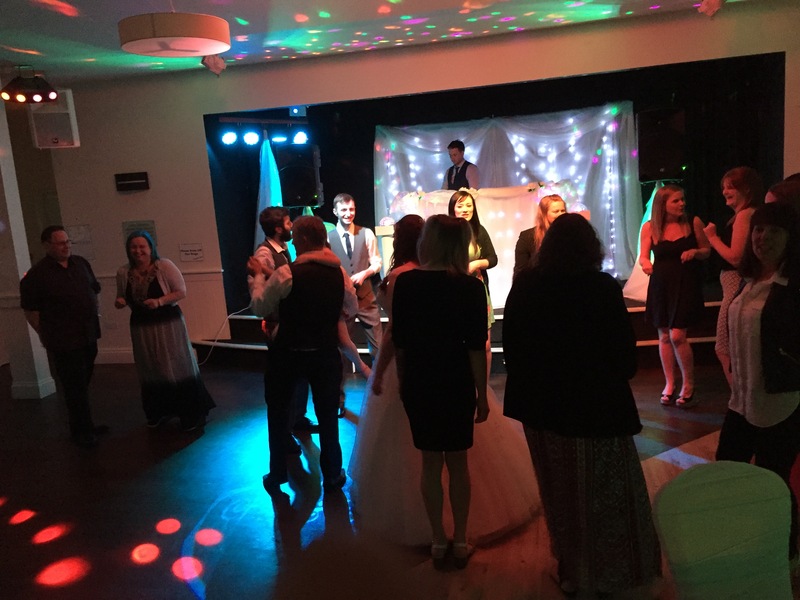 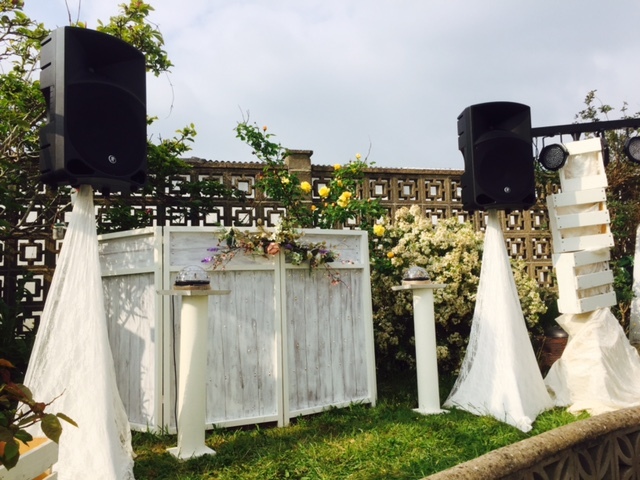 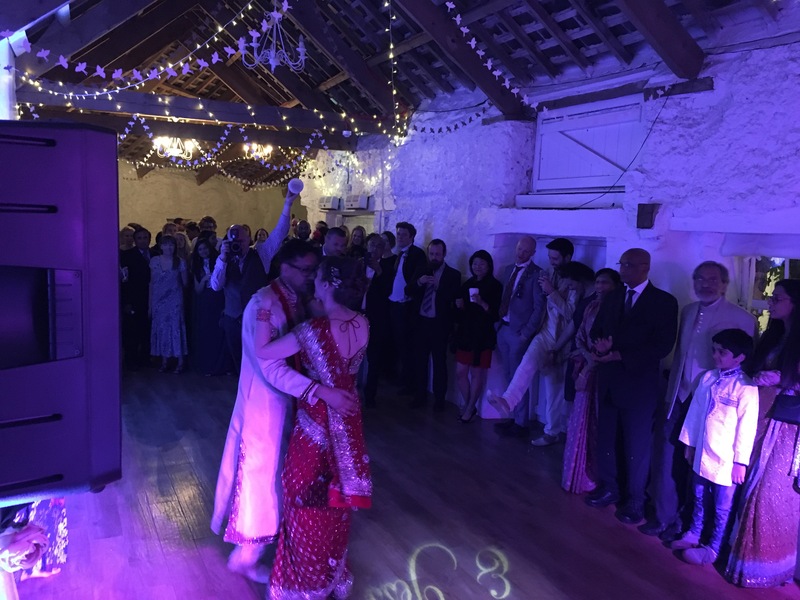 Wedding DJ Service based in North Devon but covering all of Devon and the South West. 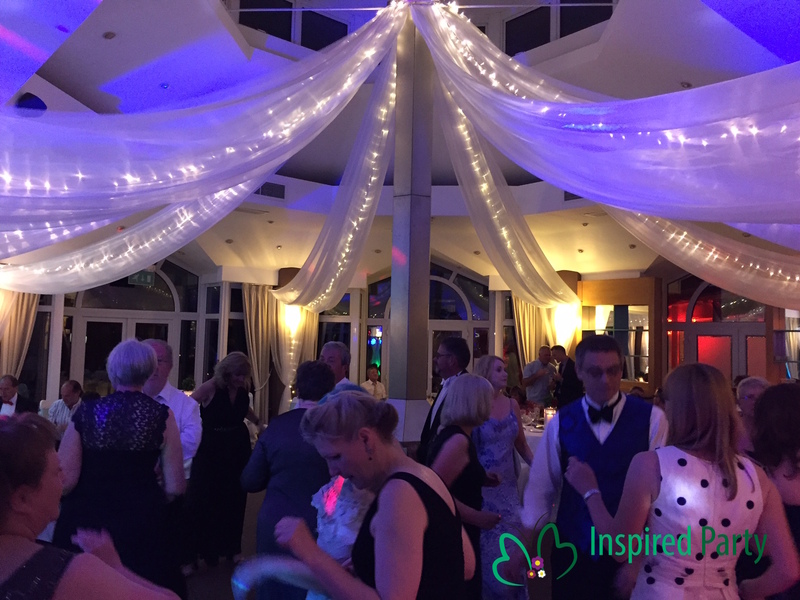 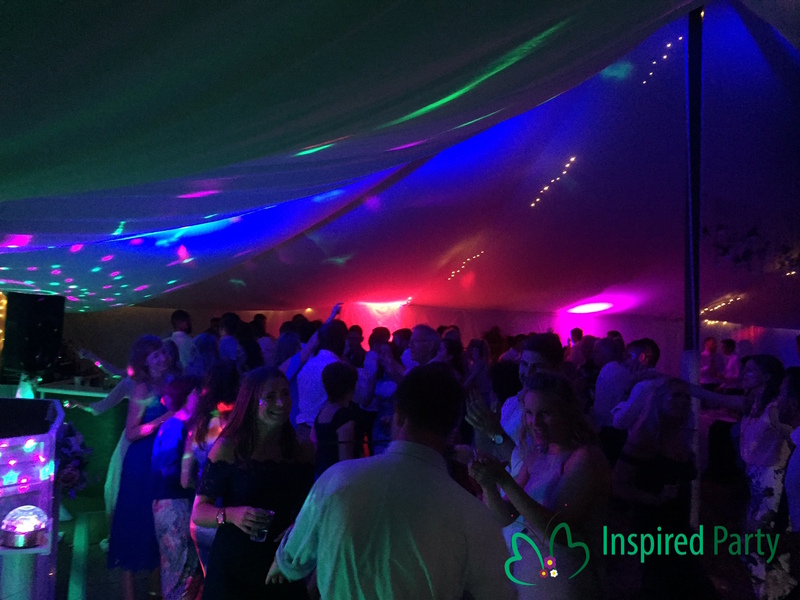 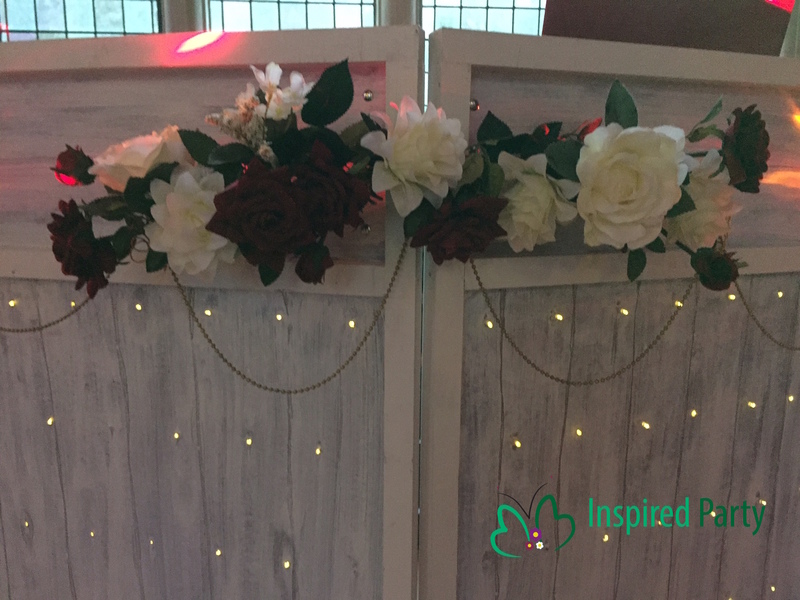 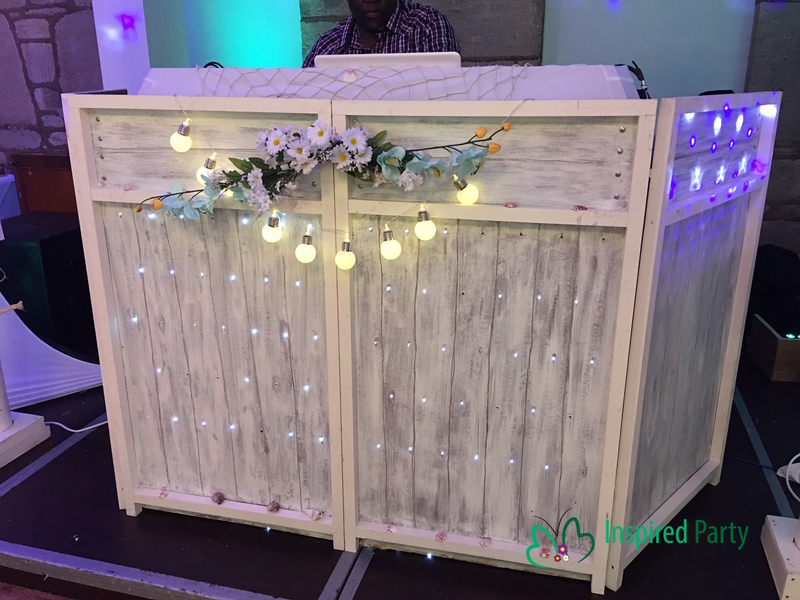 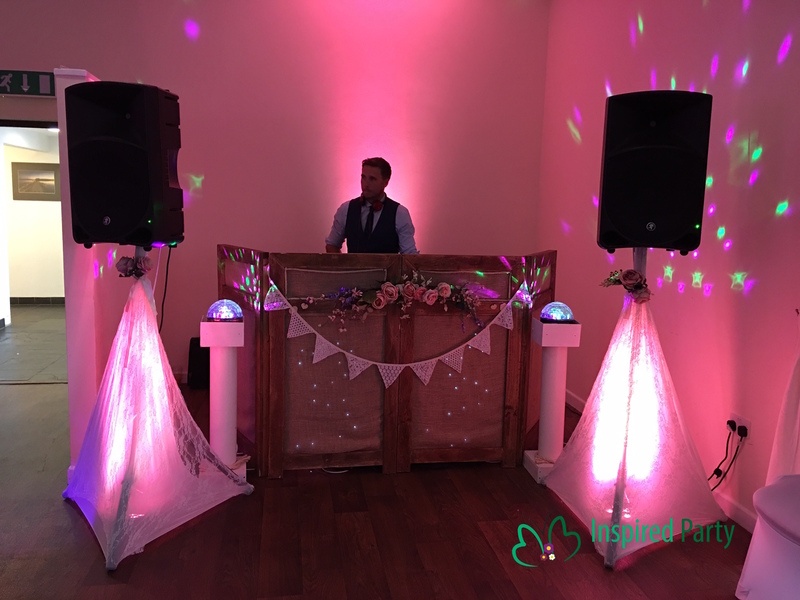 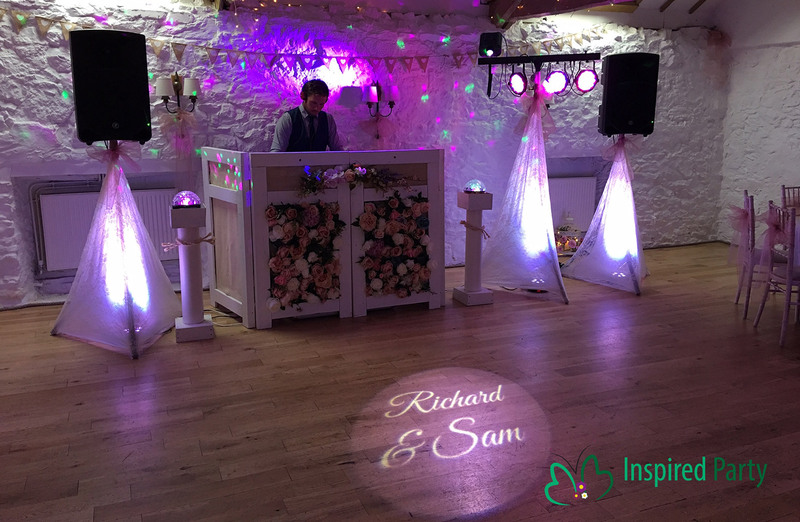 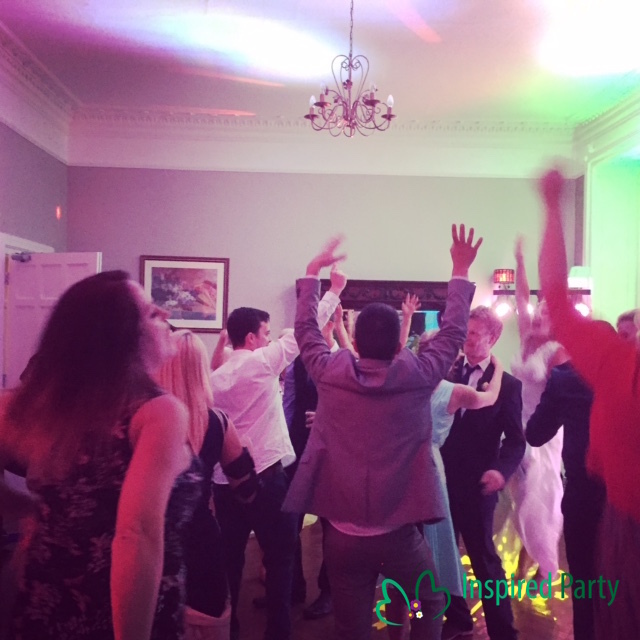 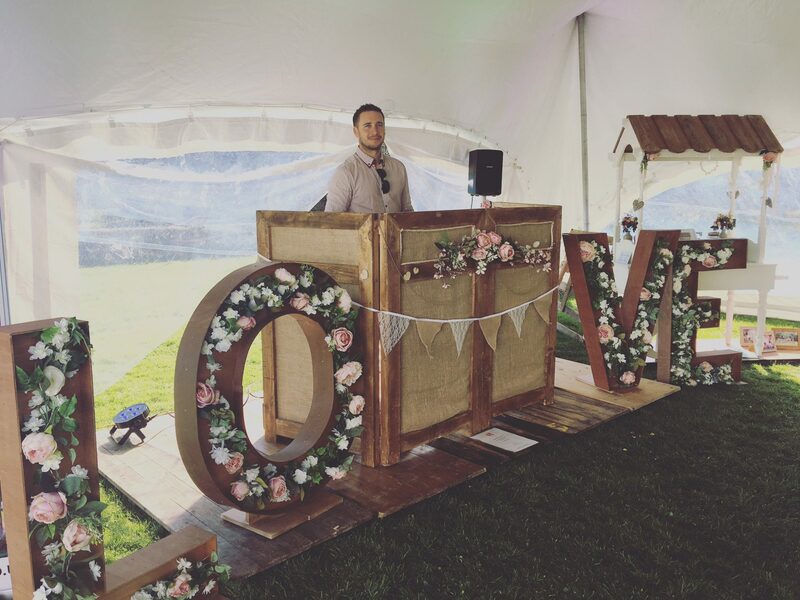 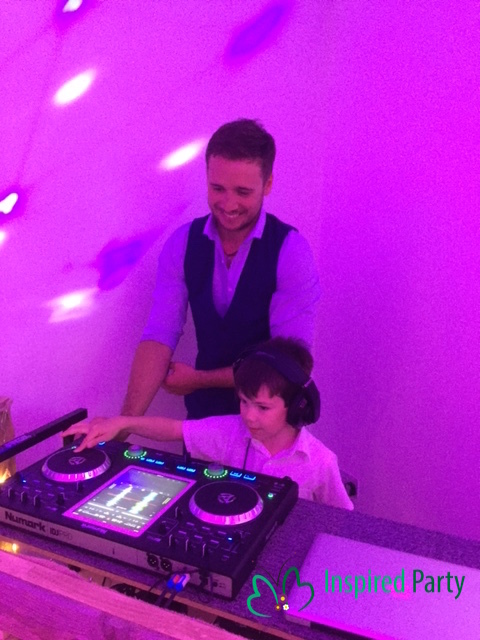 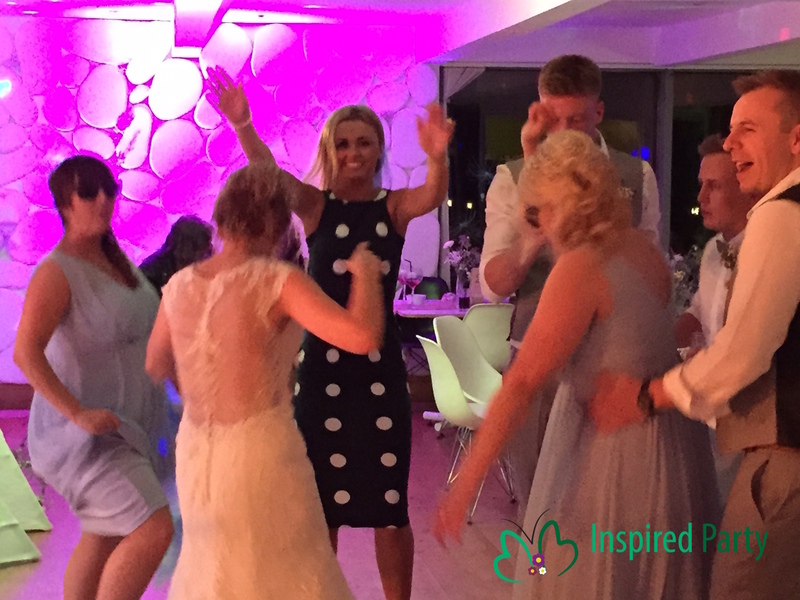 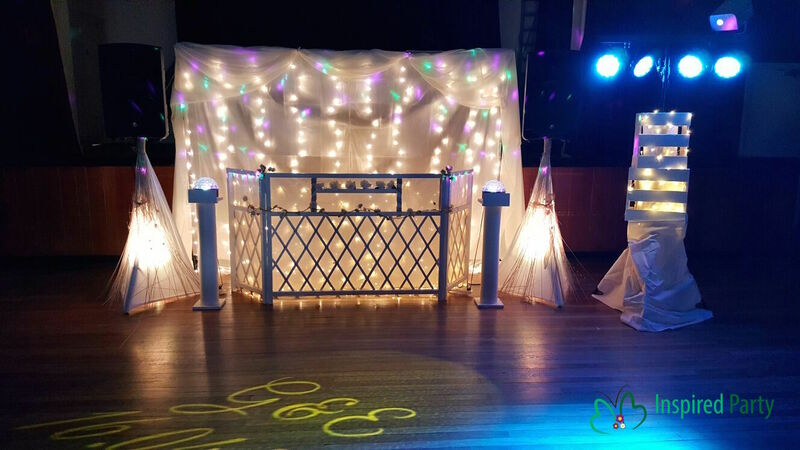 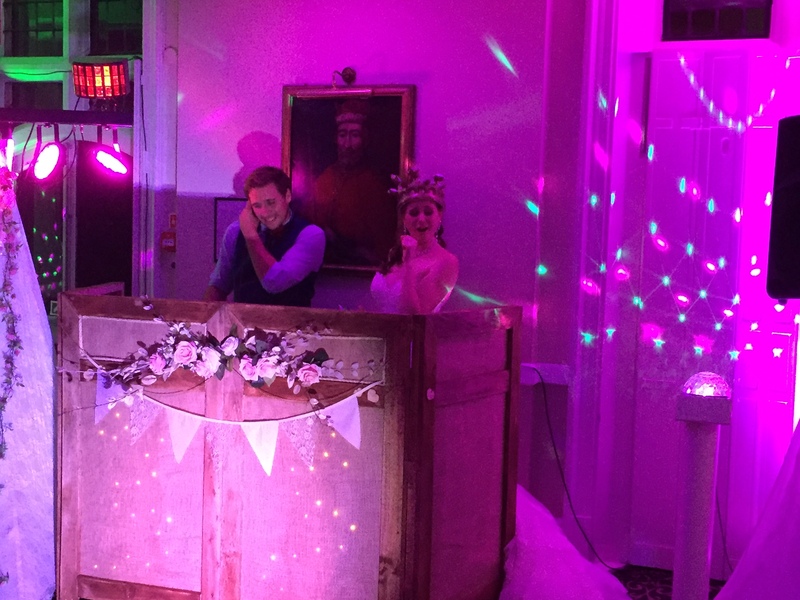 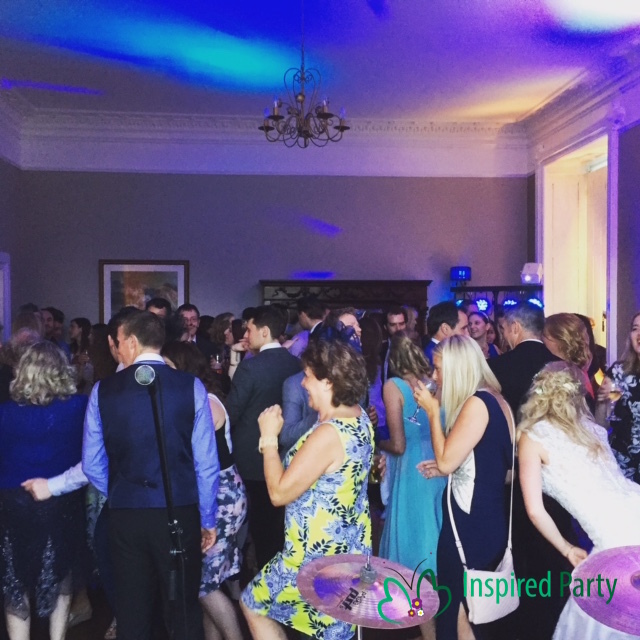 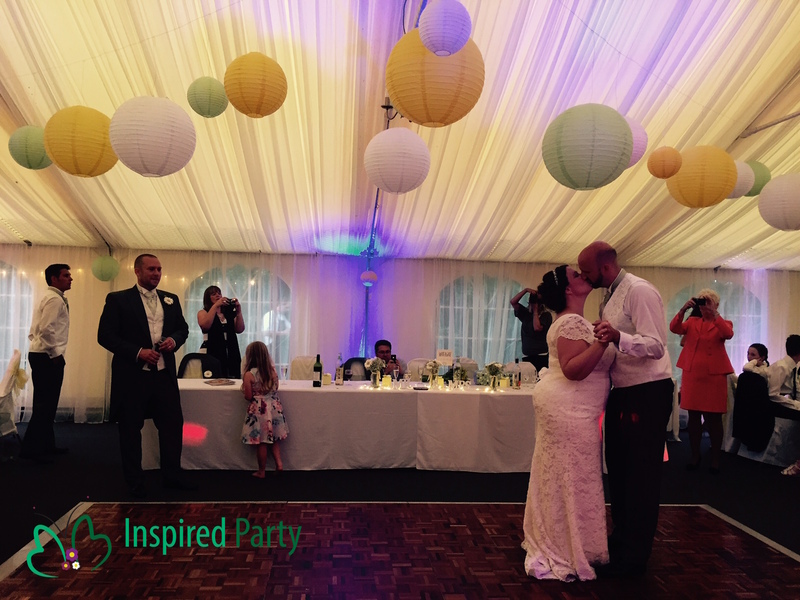 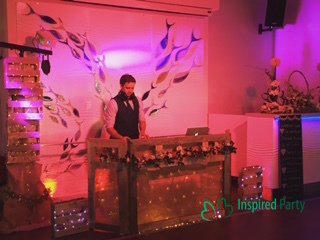 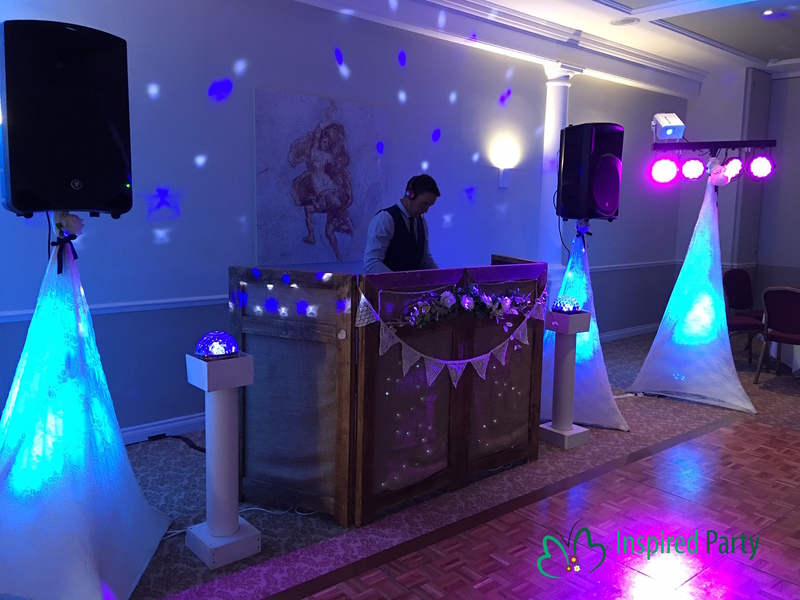 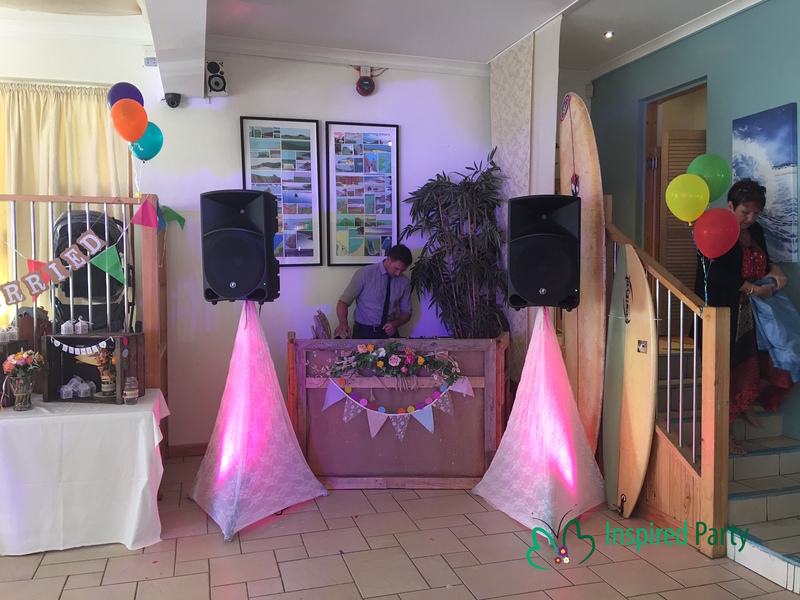 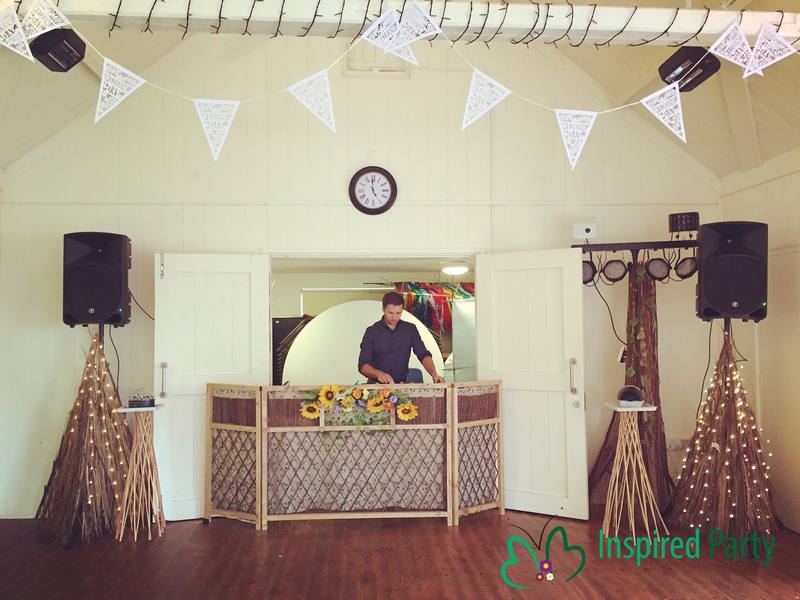 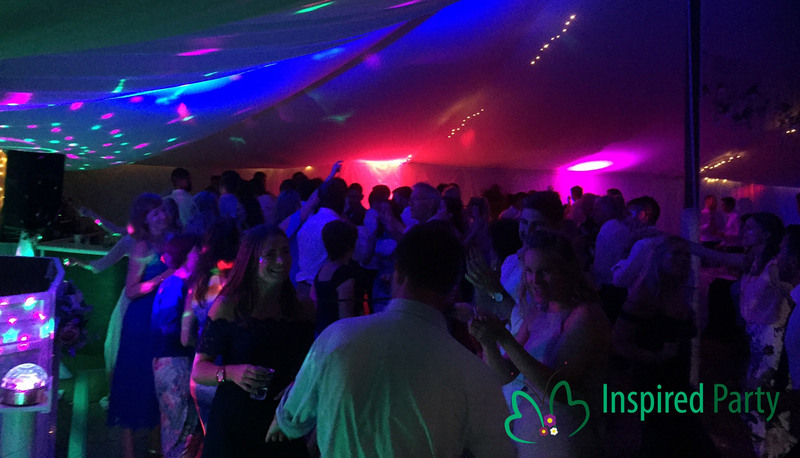 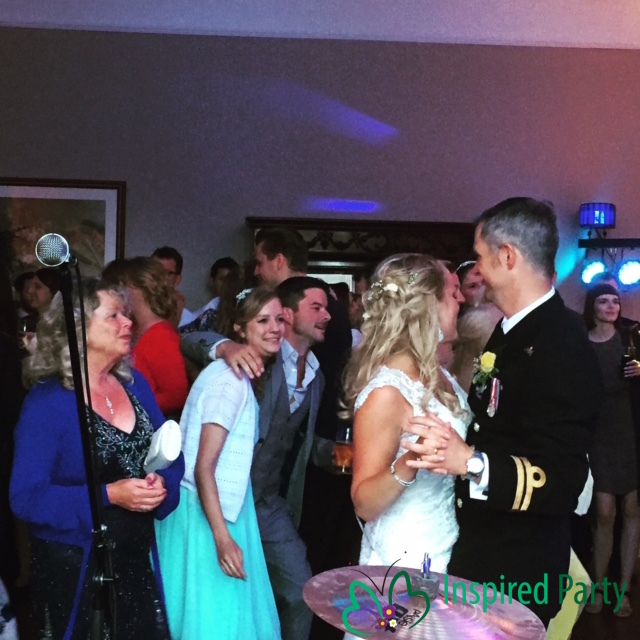 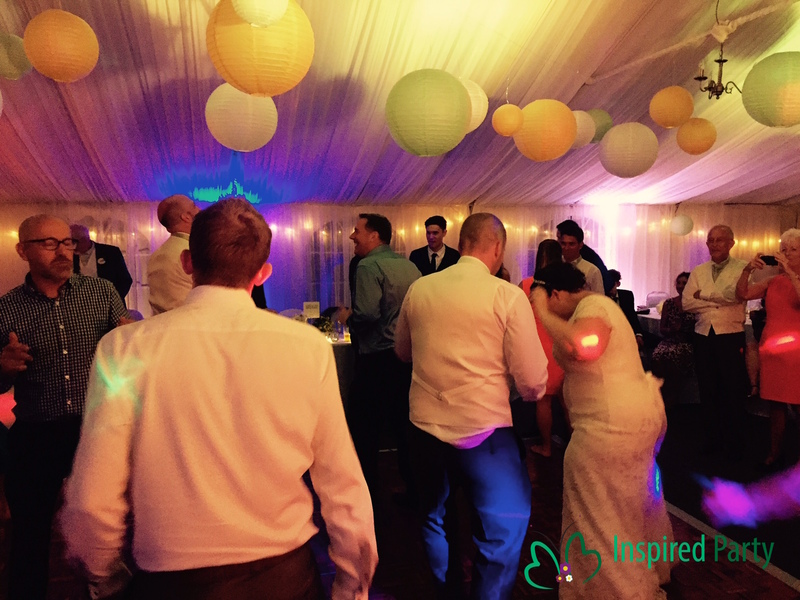 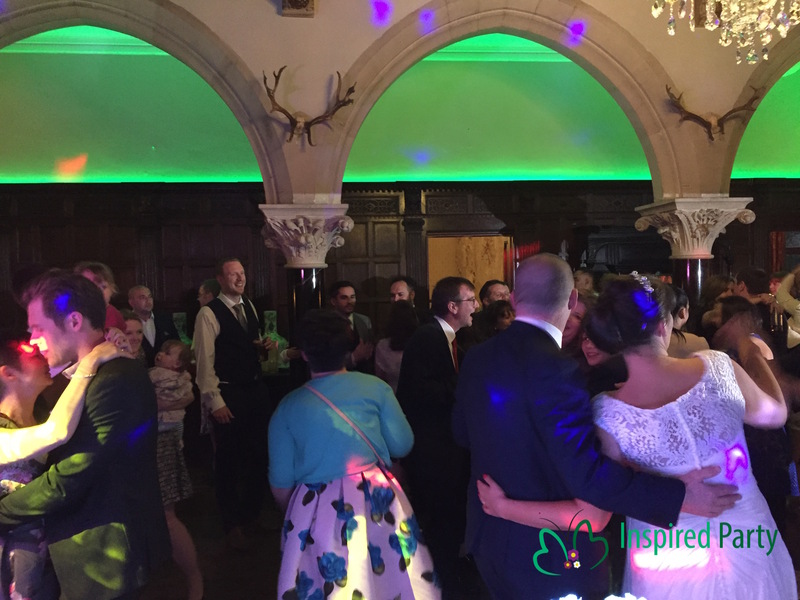 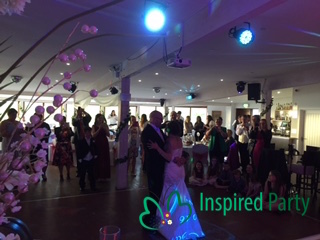 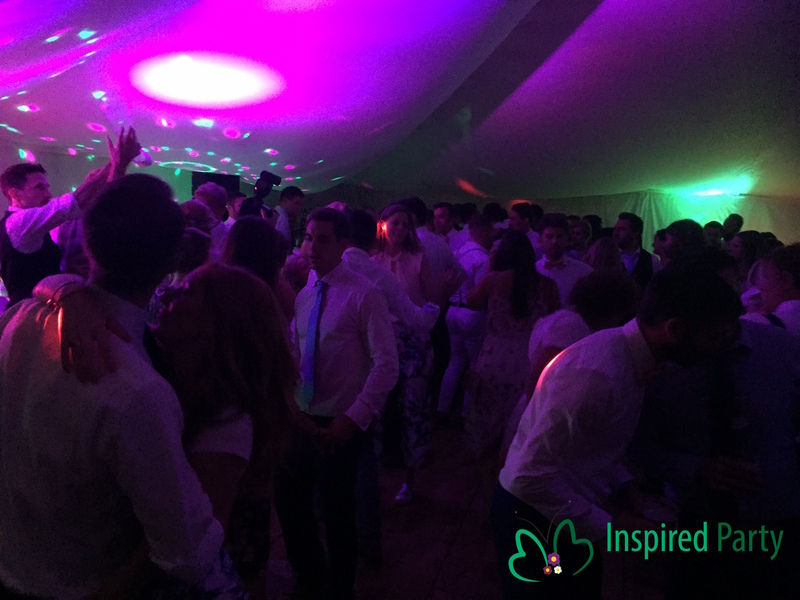 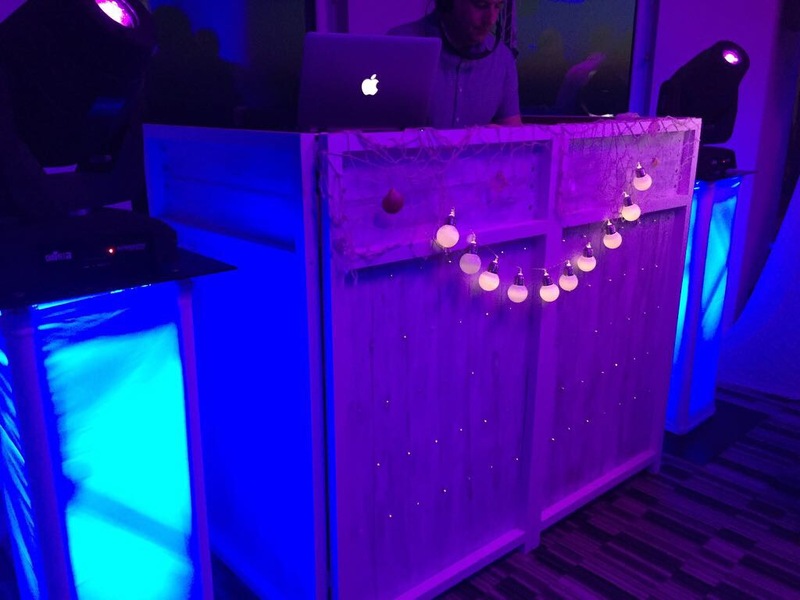 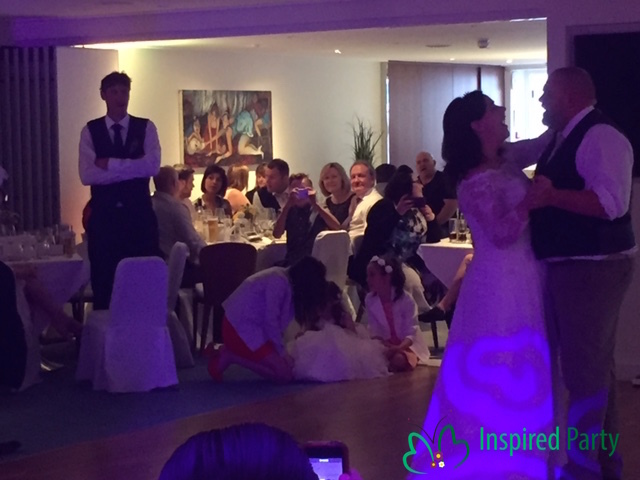 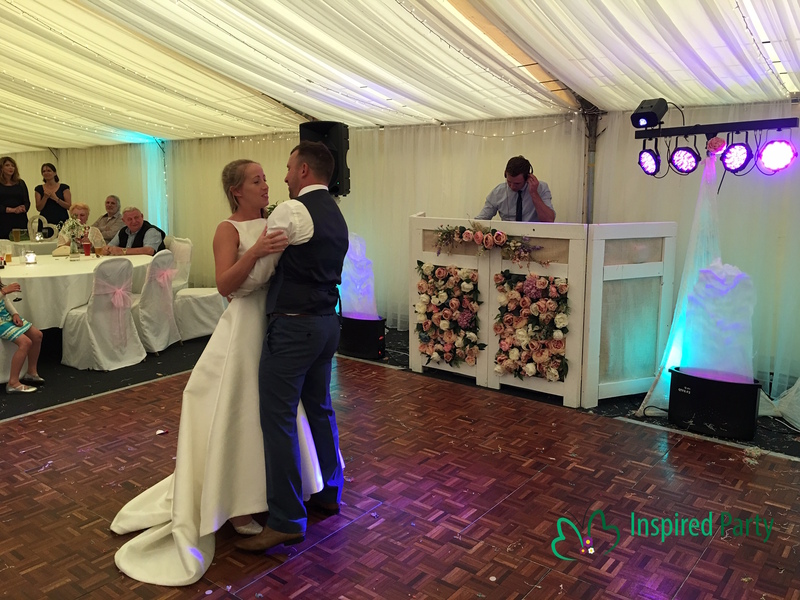 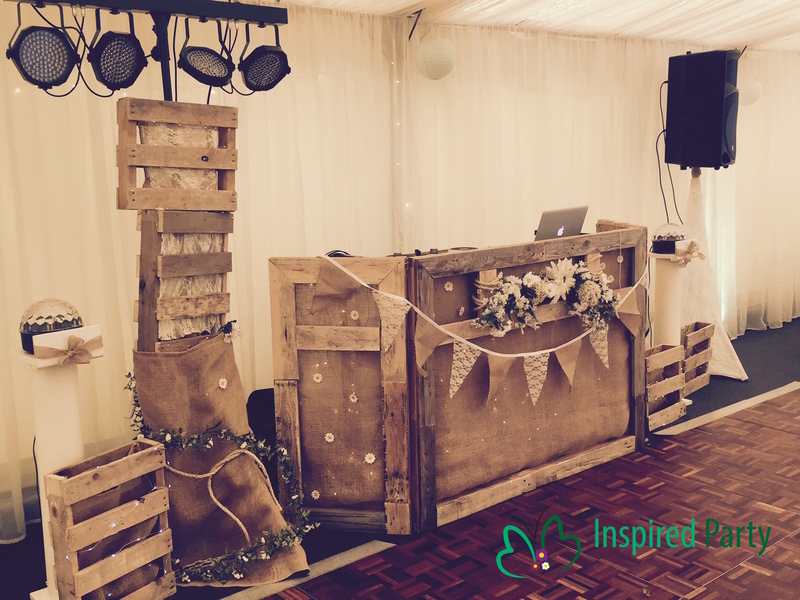 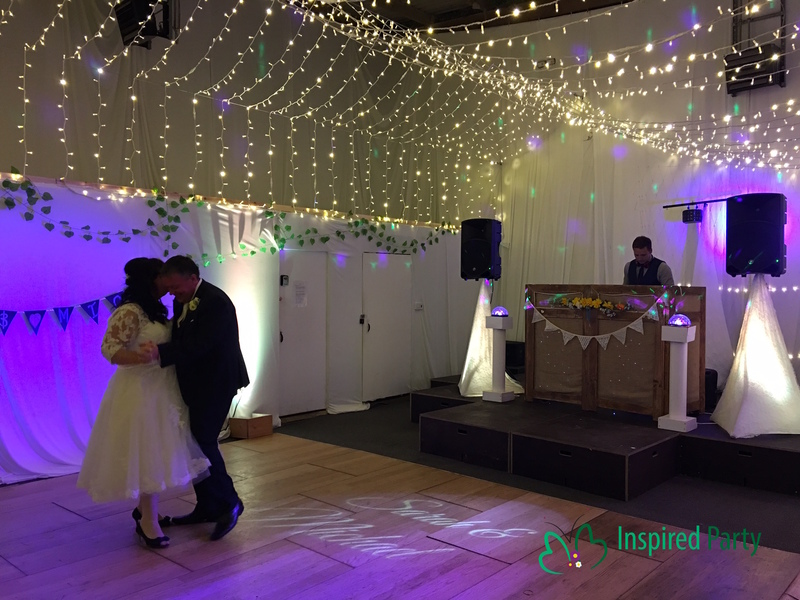 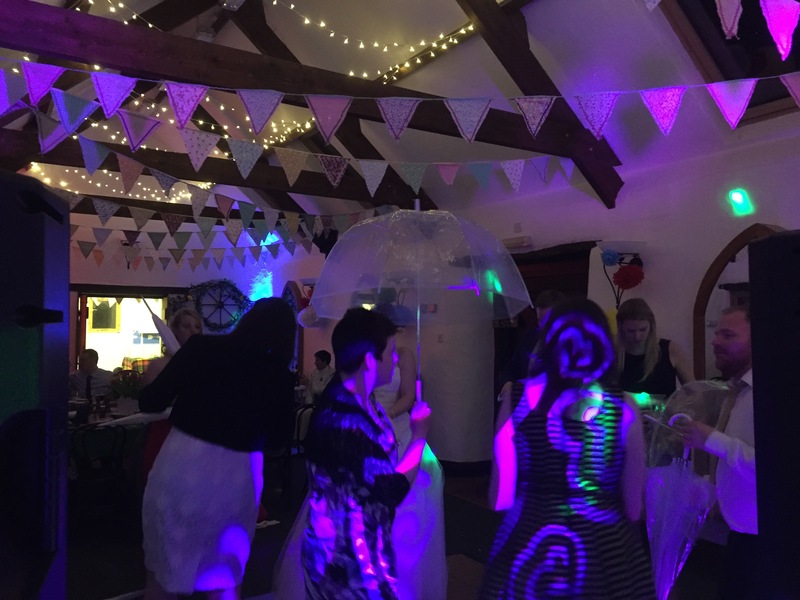 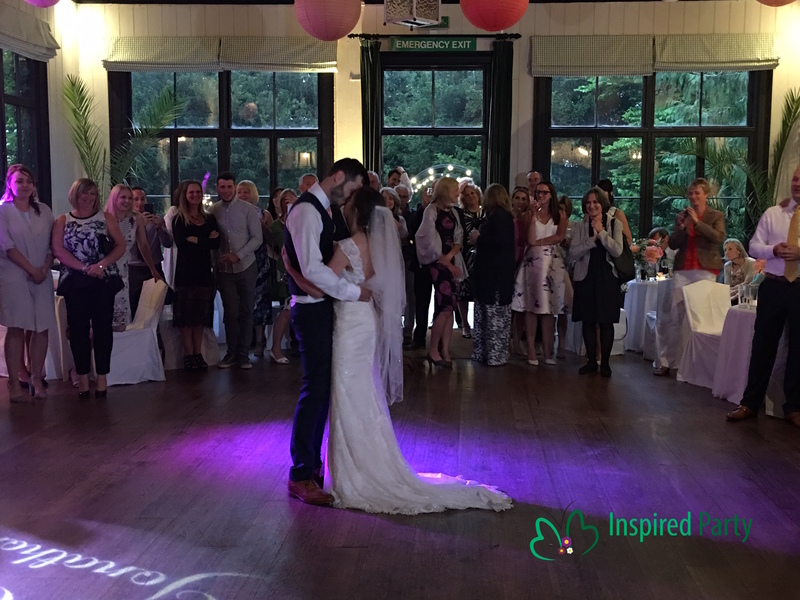 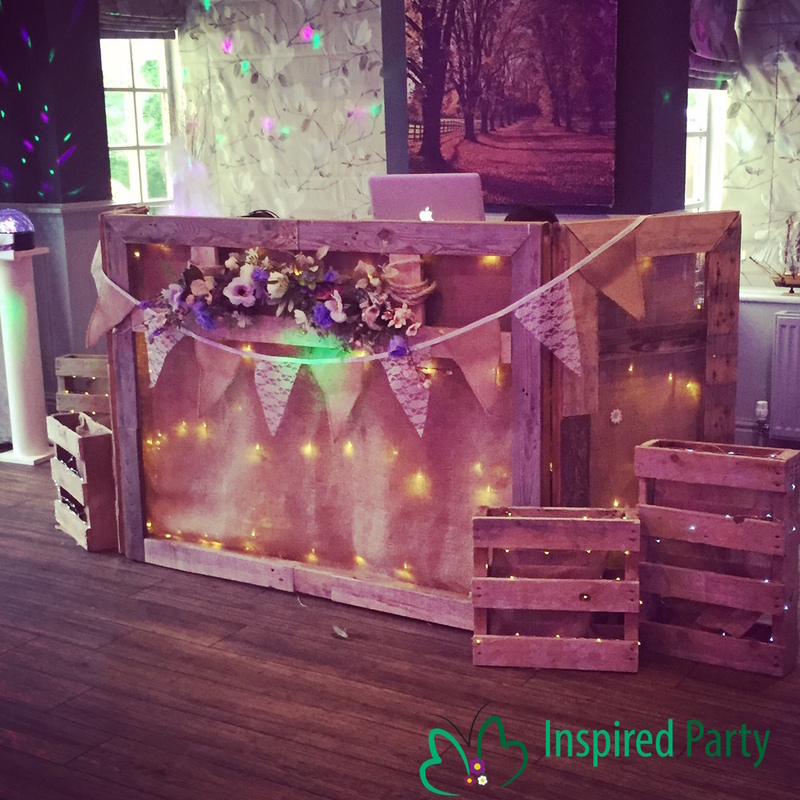 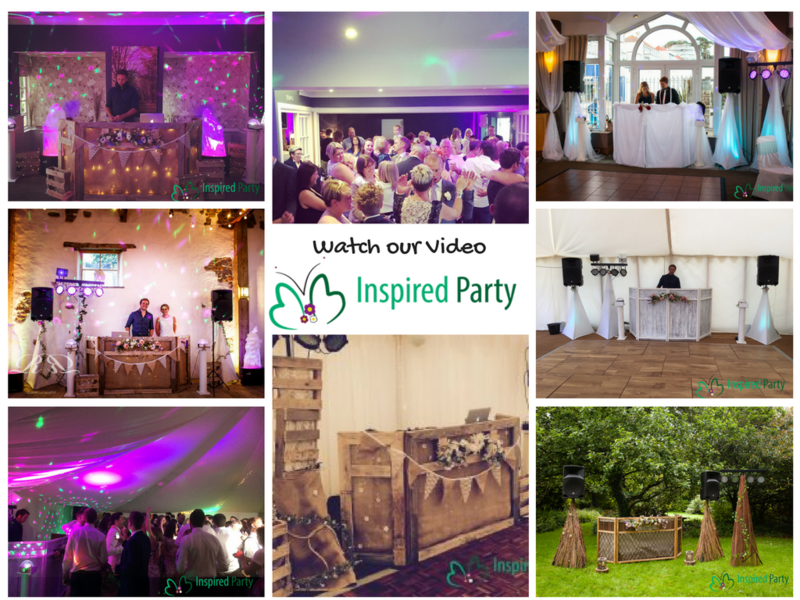 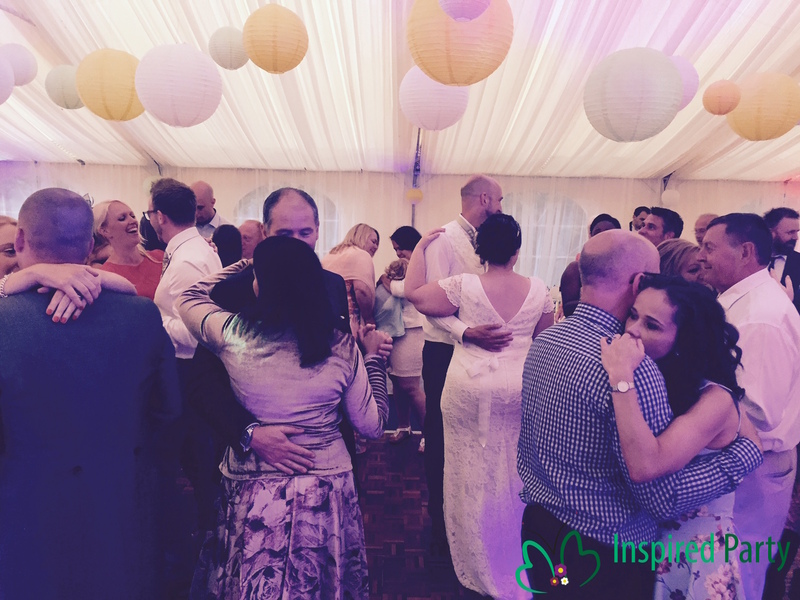 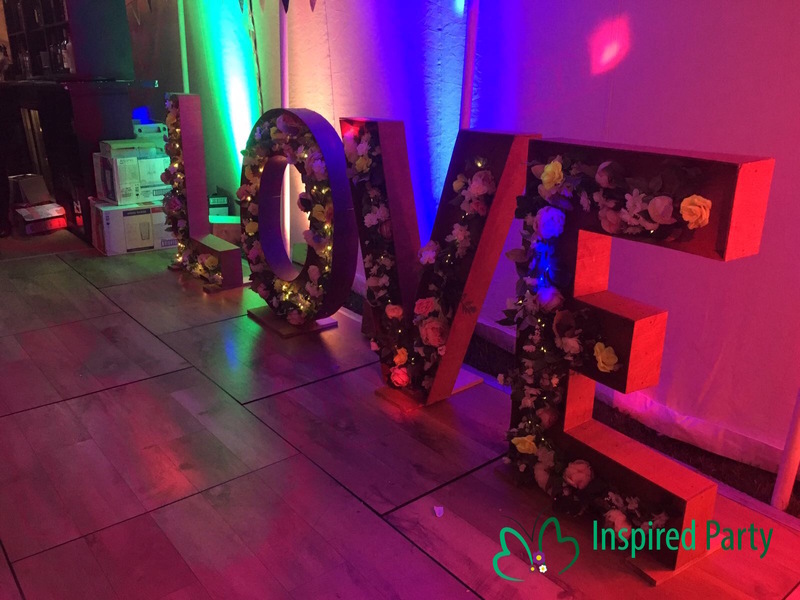 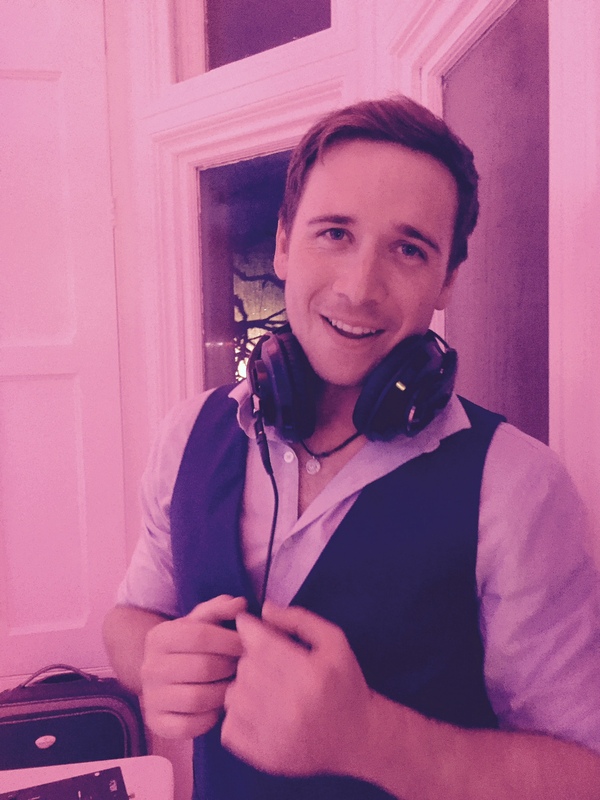 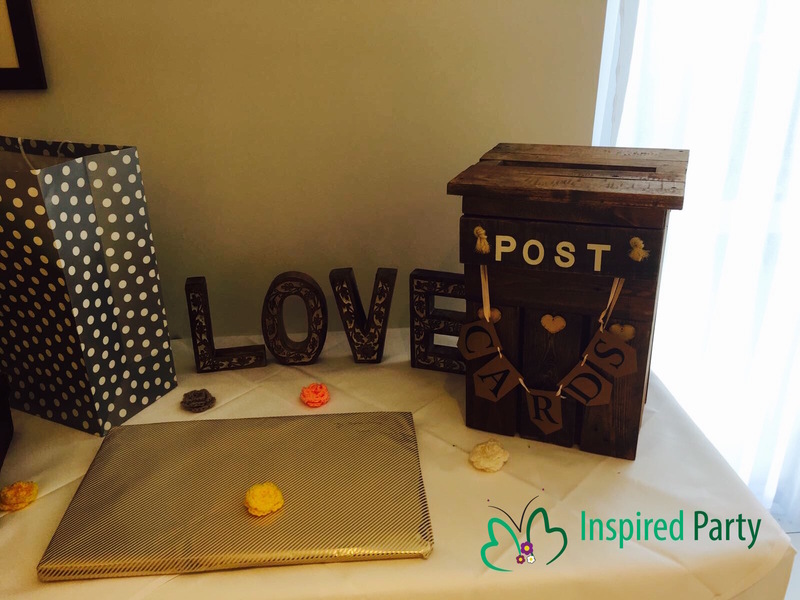 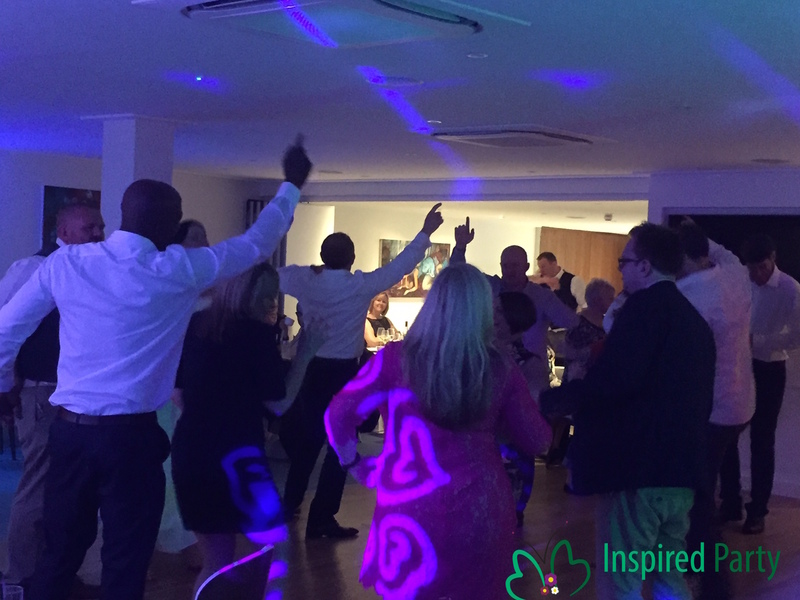 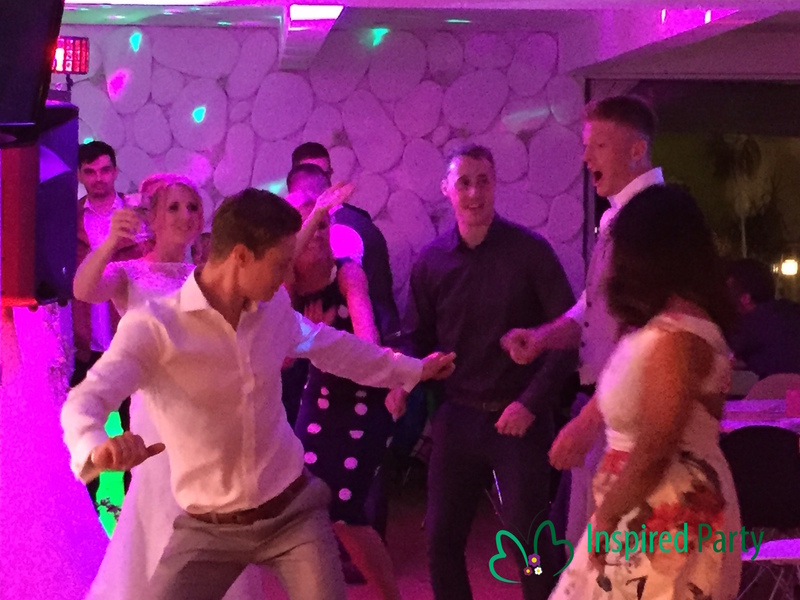 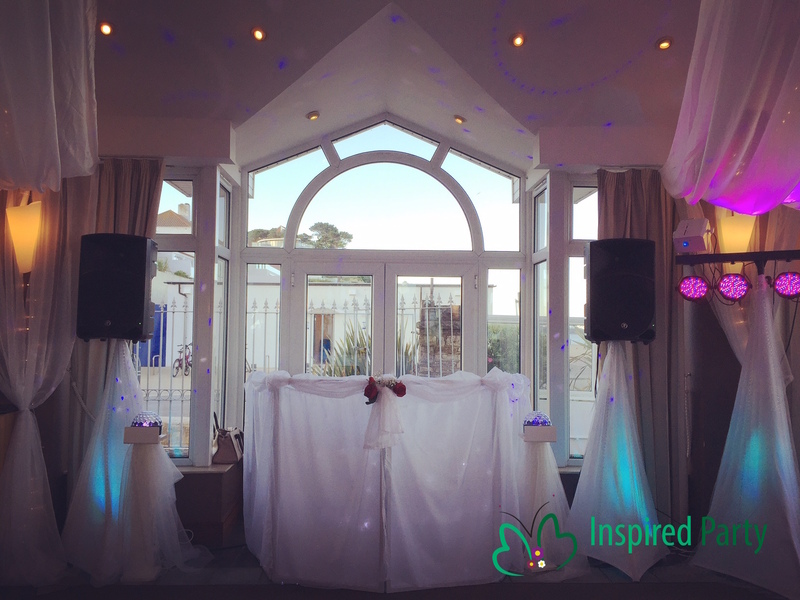 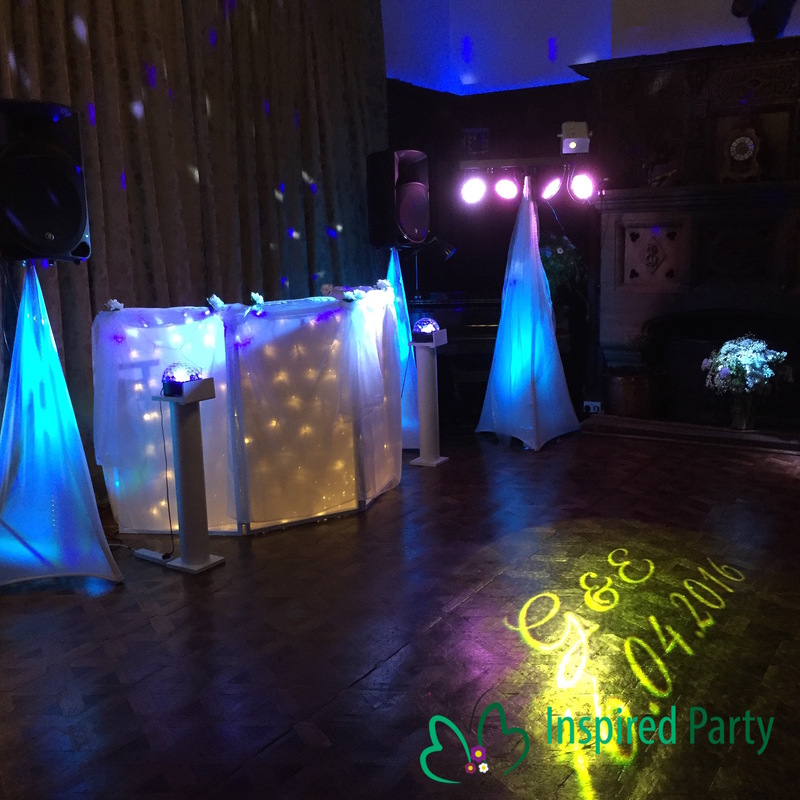 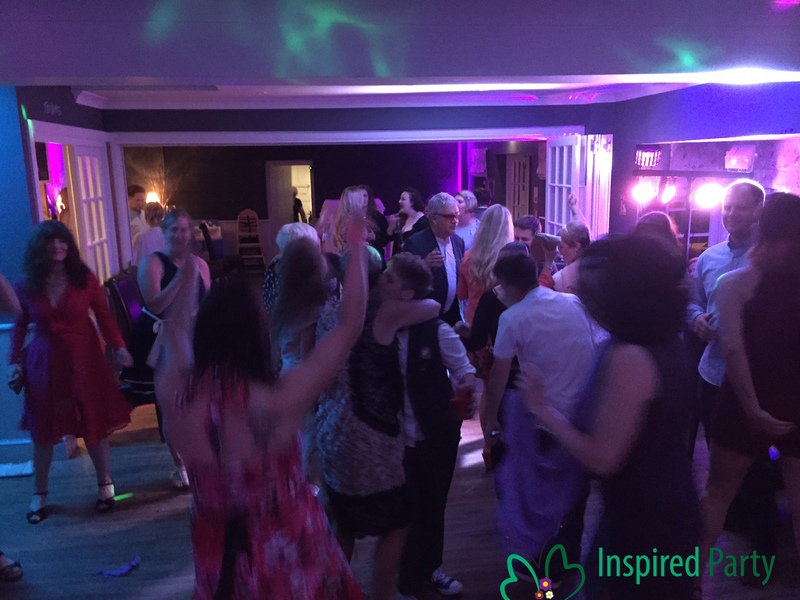 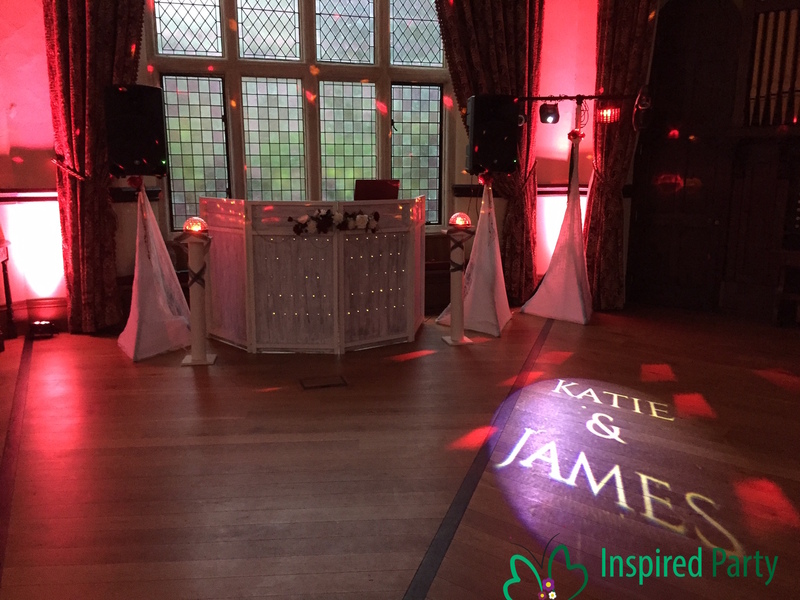 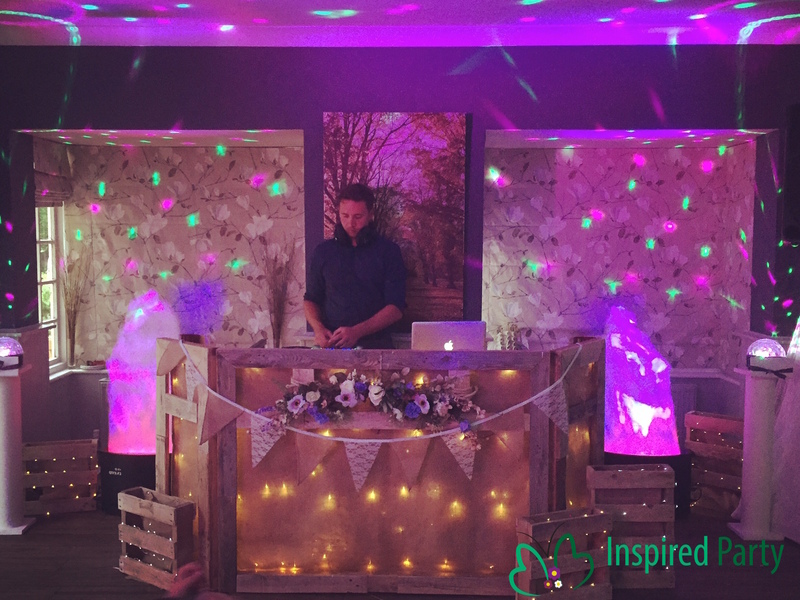 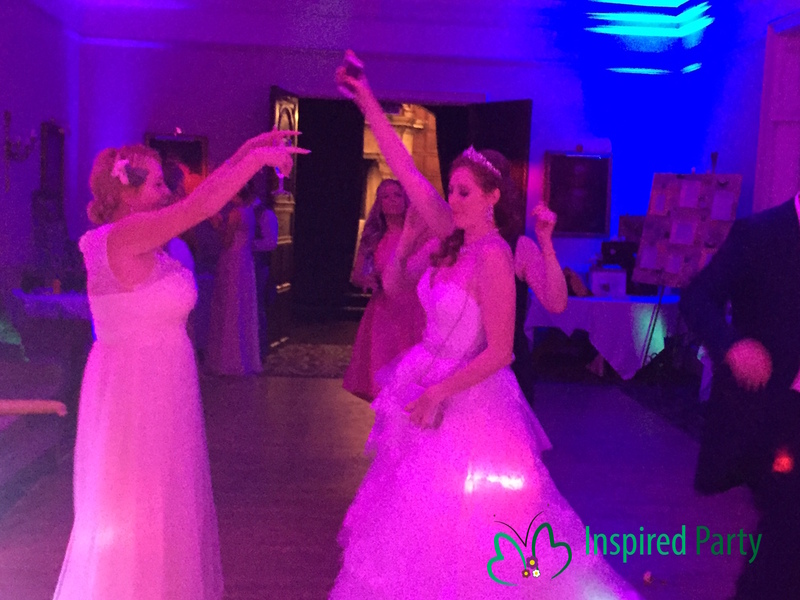 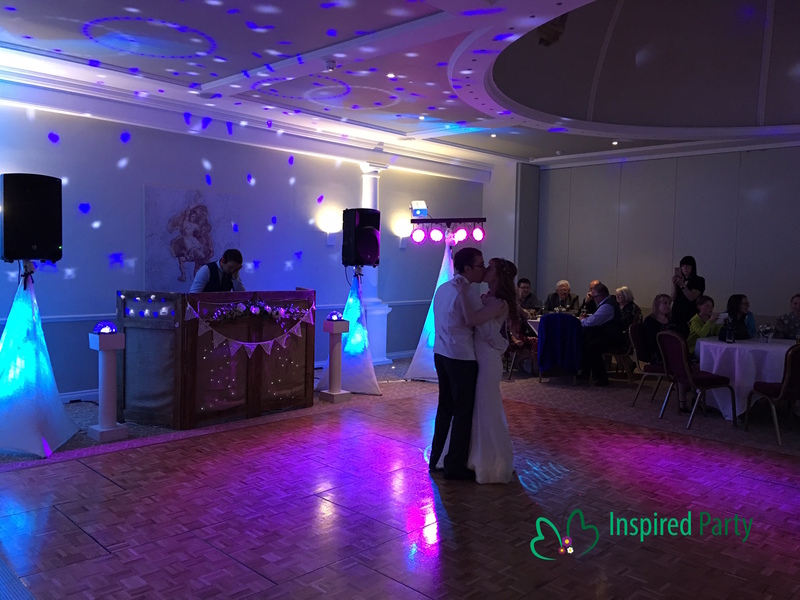 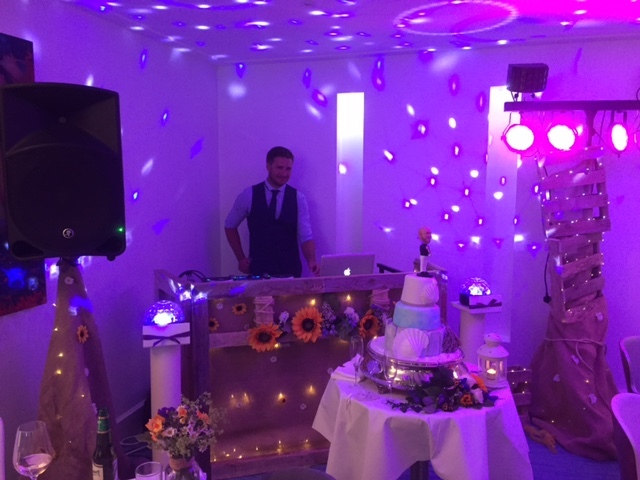 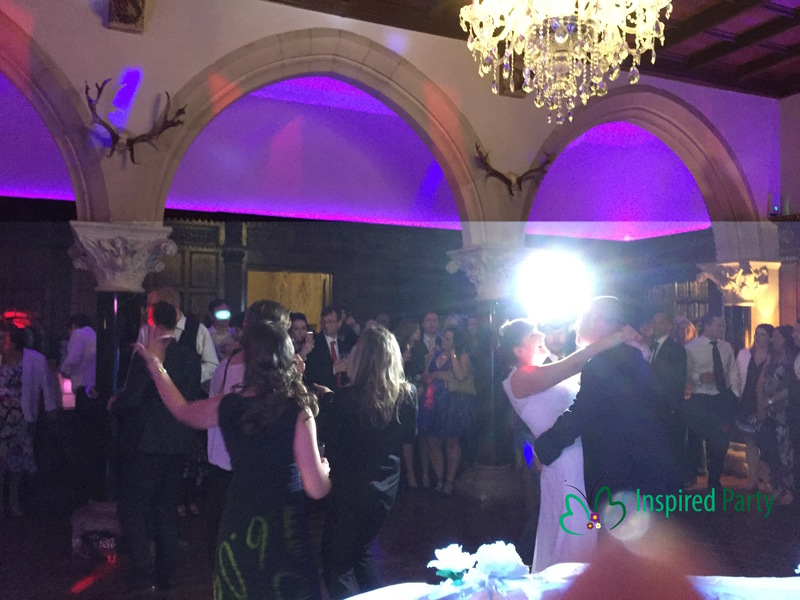 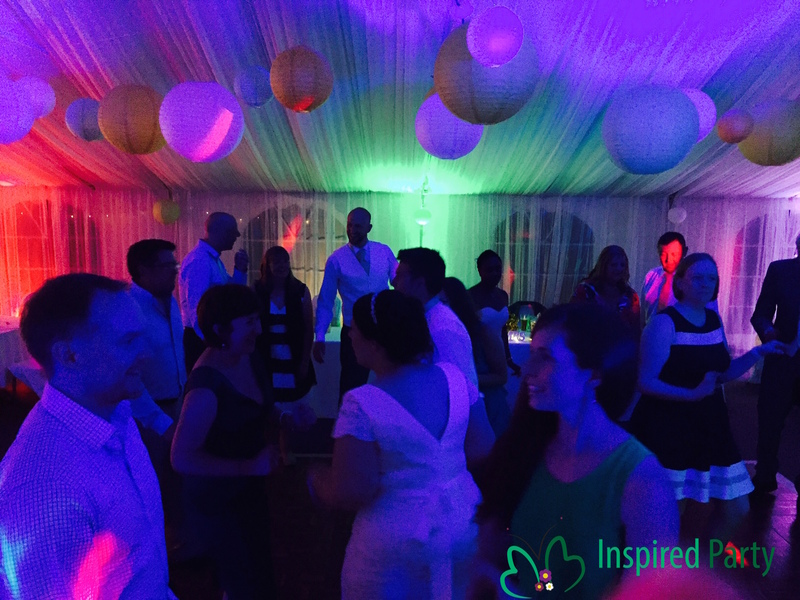 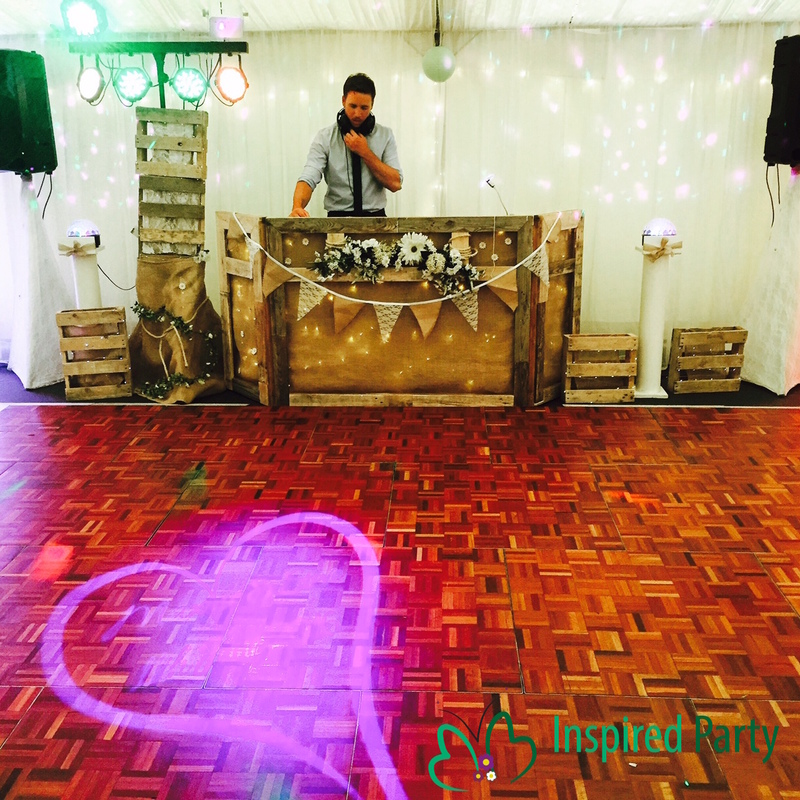 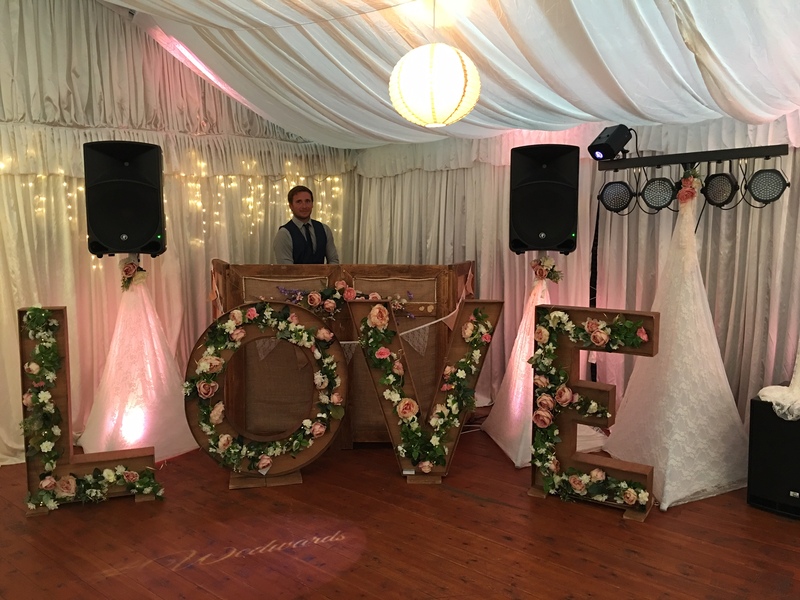 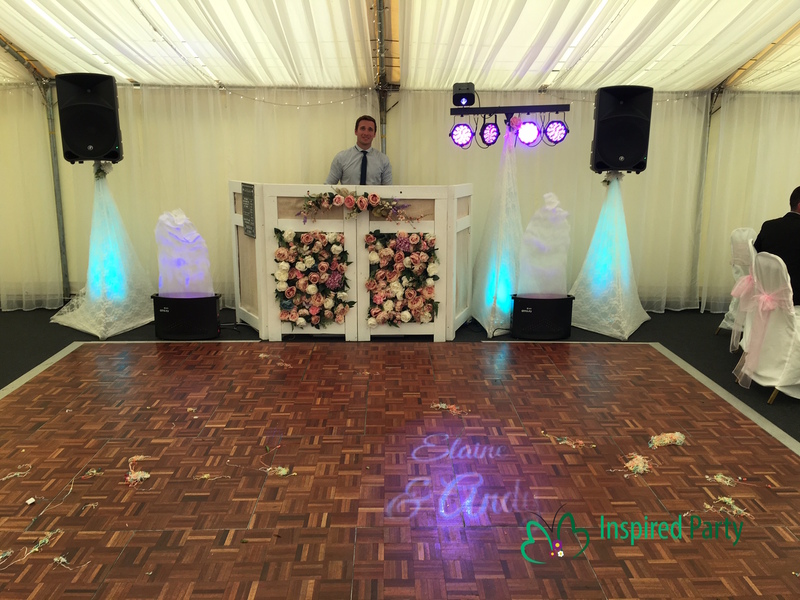 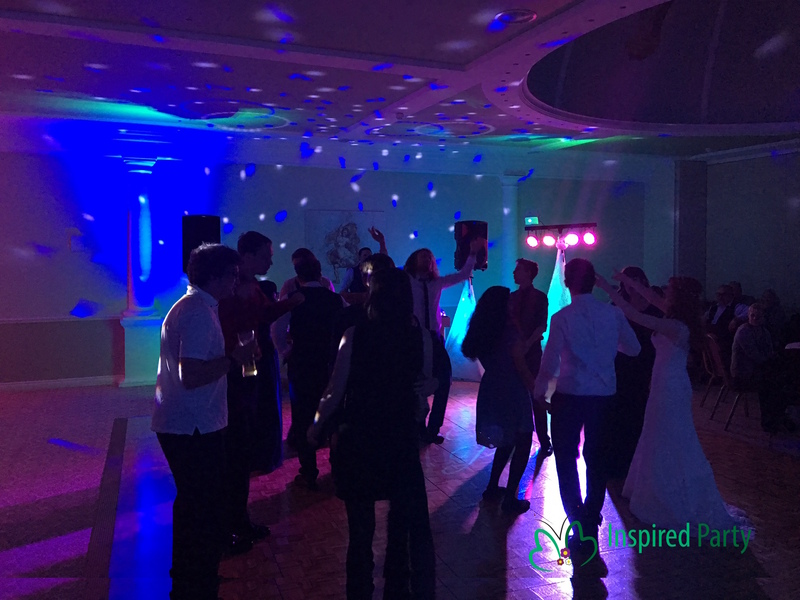 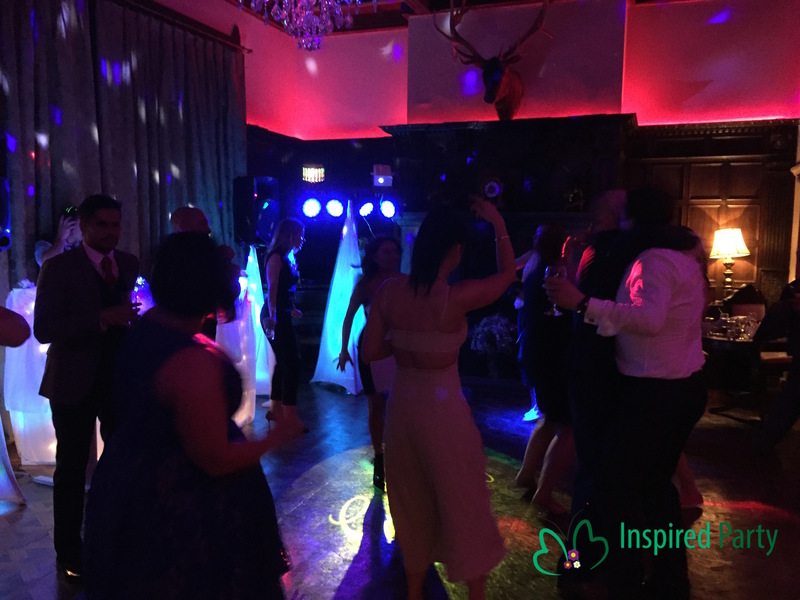 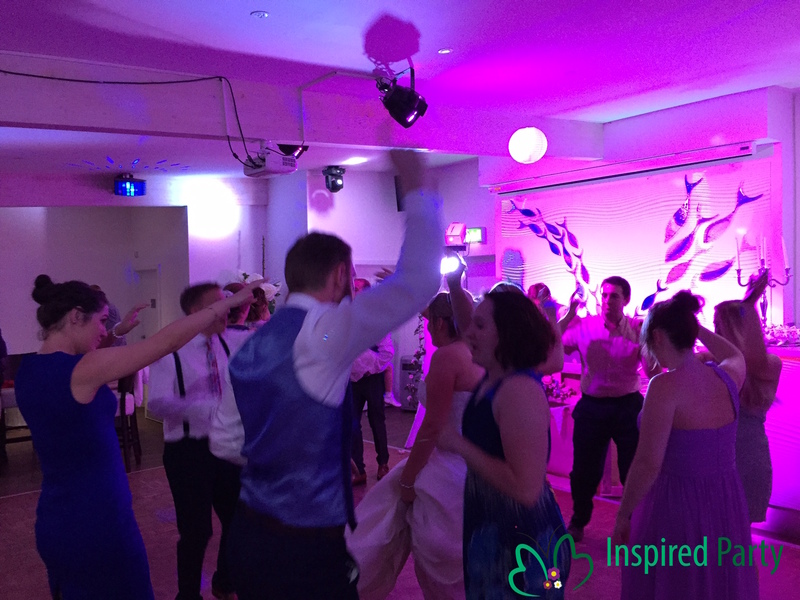 At Inspired Party we stay clear of anything associated with ‘cheesy’ Wedding DJ’s and bring a fresh, sophisticated vibe to your celebration. 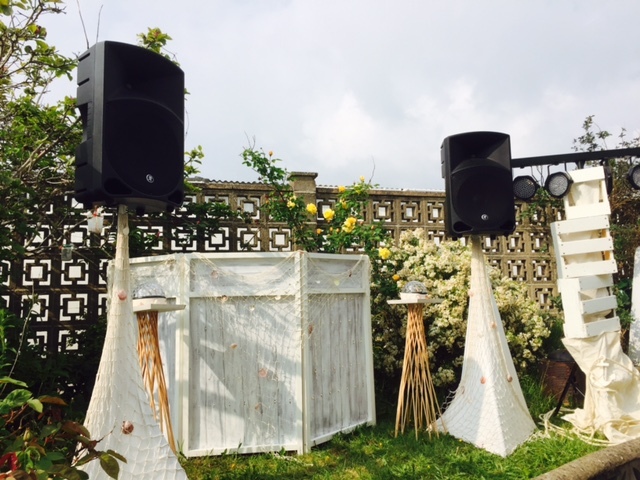 Our Setups are completely unique, elegant and perfectly customised to your styling ideas. 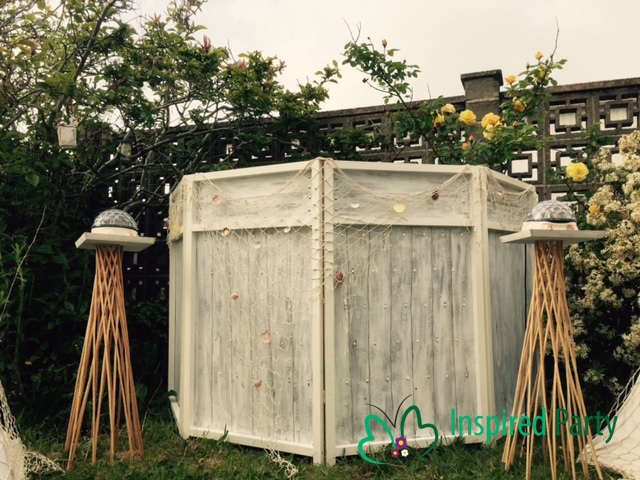 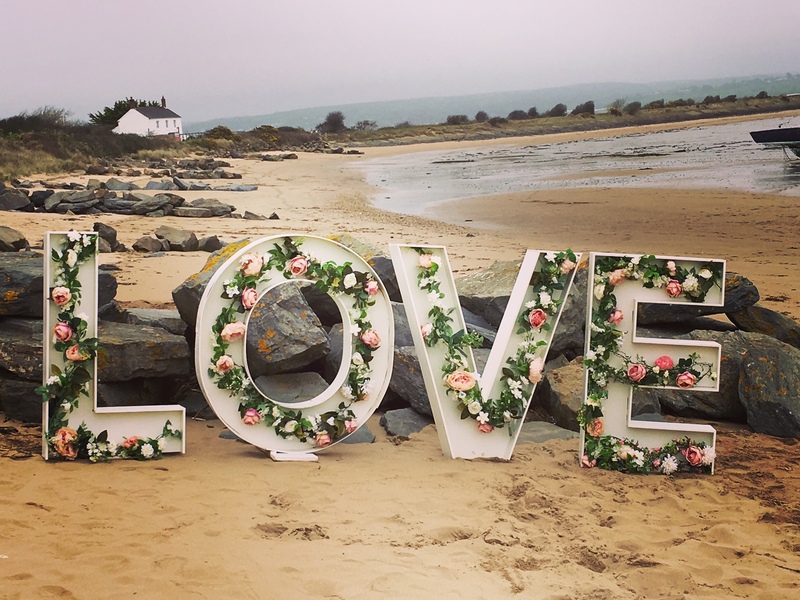 So if you’re having a rustic, vintage, beach, classic fairytale, full of flowers or even Hollywood Glamour based wedding we can fit right in and become our own spectacular feature. 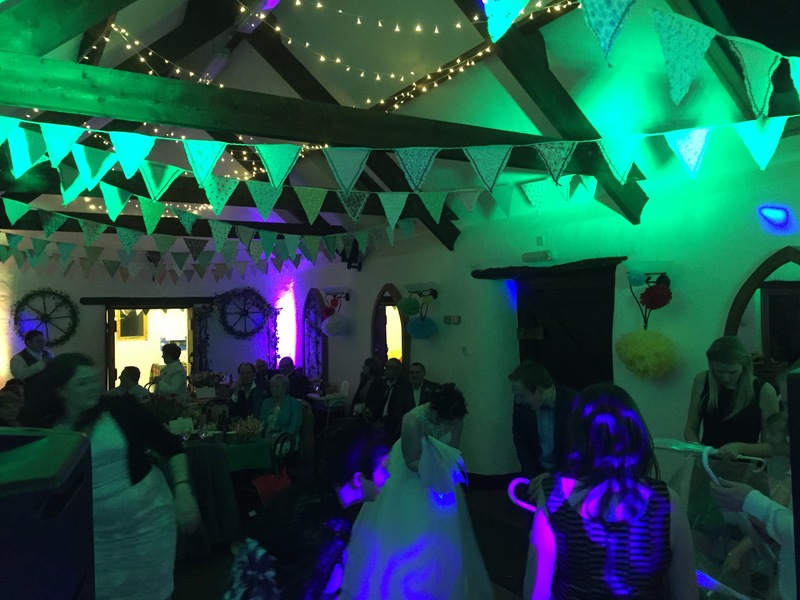 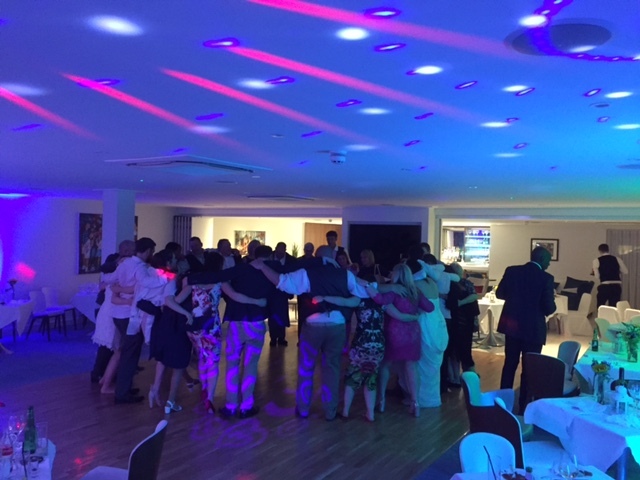 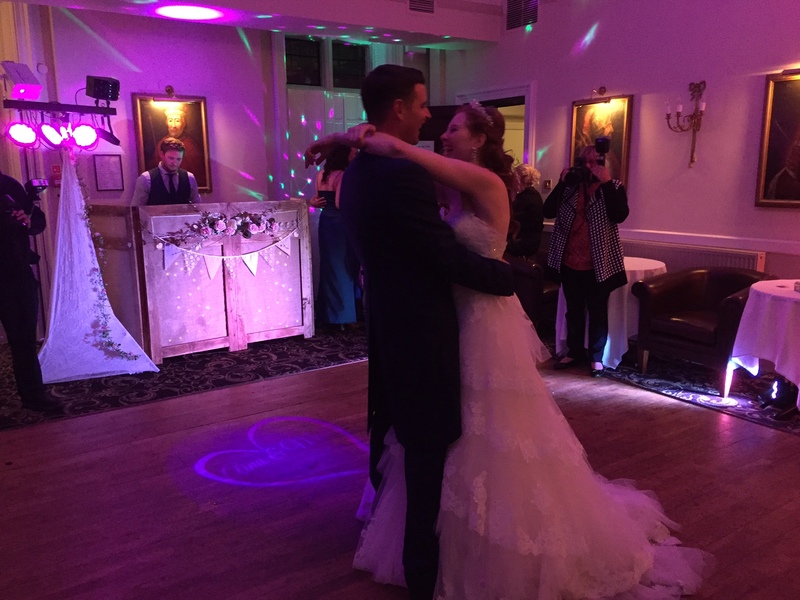 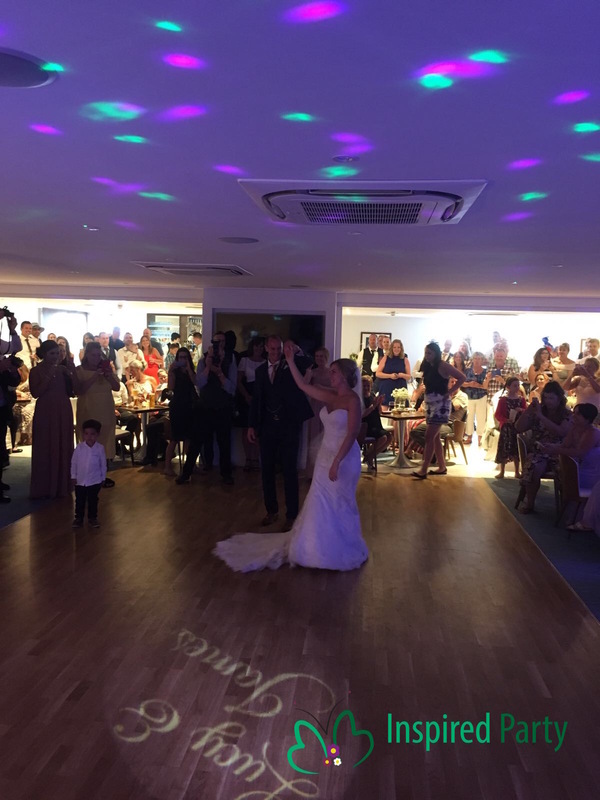 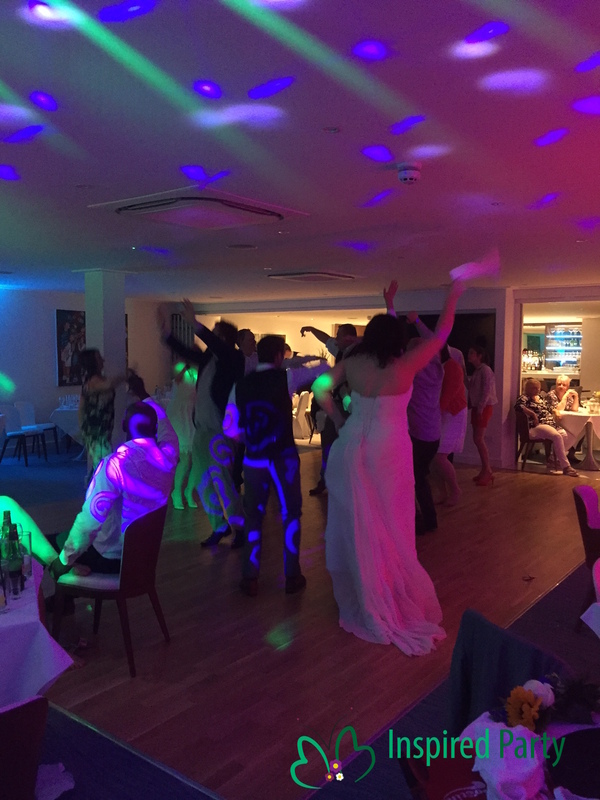 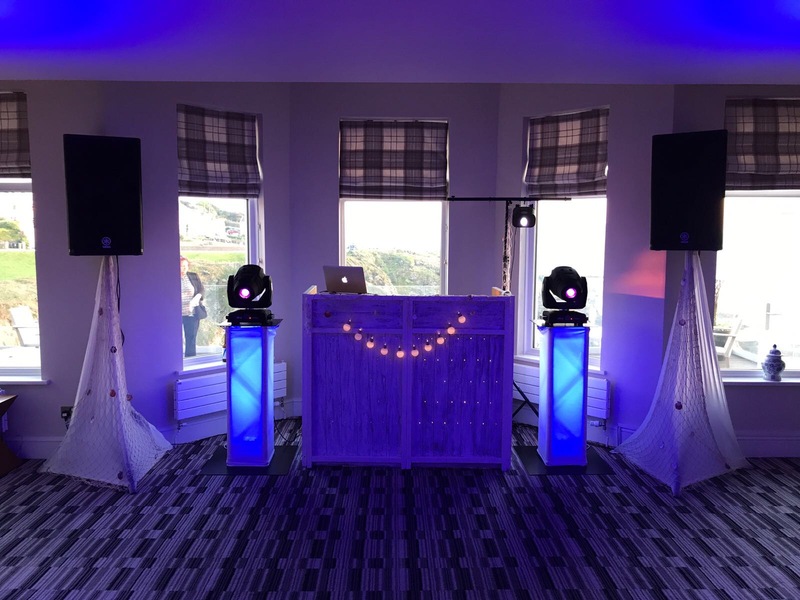 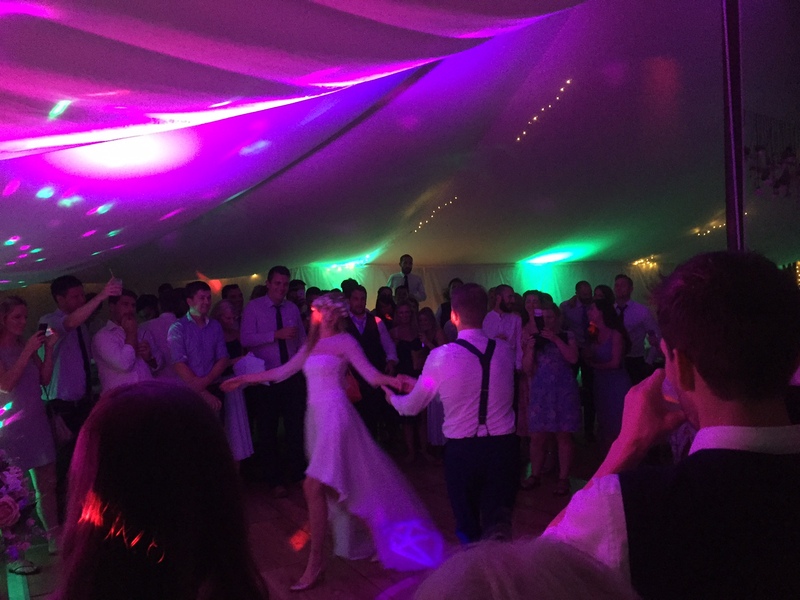 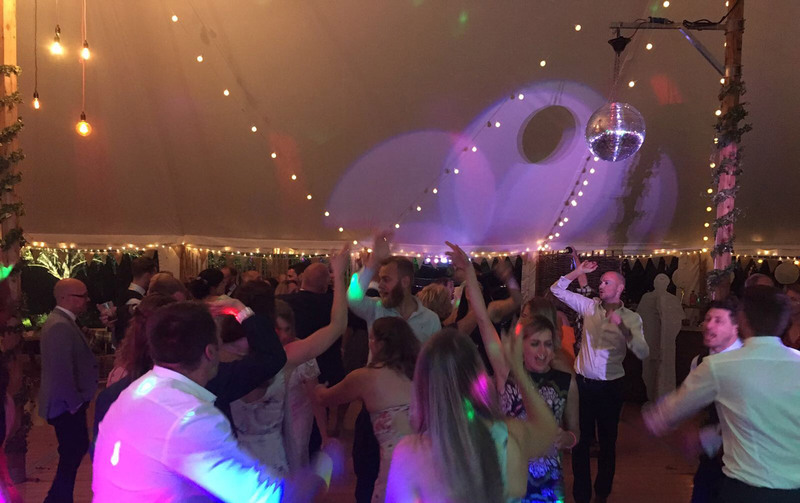 To complete our perfect package, our DJ’s can mix up an awesome set list to suit your musical tastes whatever they may be…With regular feedback like this from our couples: “We have had lots of our guests comment during and since the wedding saying that we had the best DJ they have ever heard” We know we can bring the ultimate party. 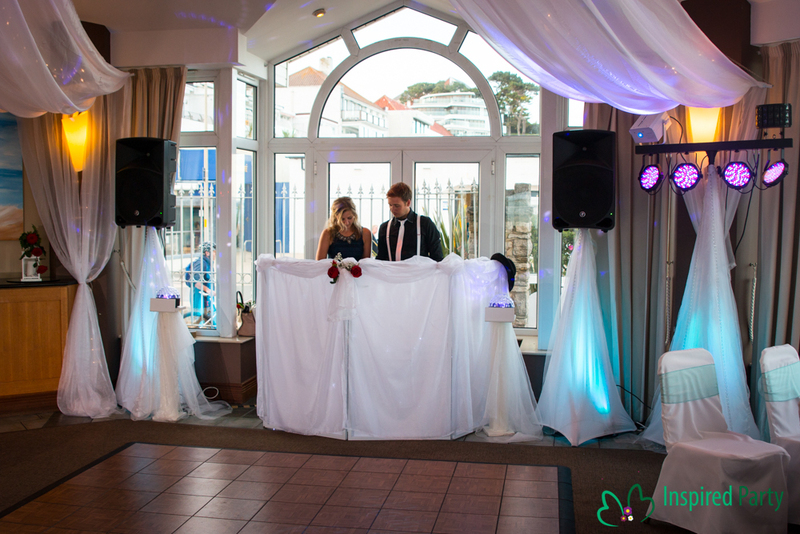 Our packages are fully bespoke to make sure that you end up with the perfect occasion playing the music that YOU want. 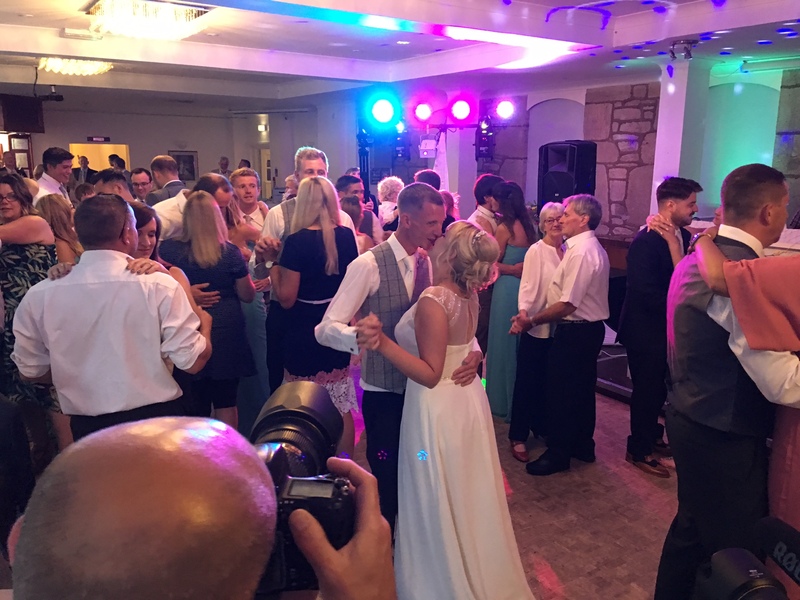 We love meeting all of our couples personally before the event because it’s the most important party of your life and we do everything we can to get every detail right. 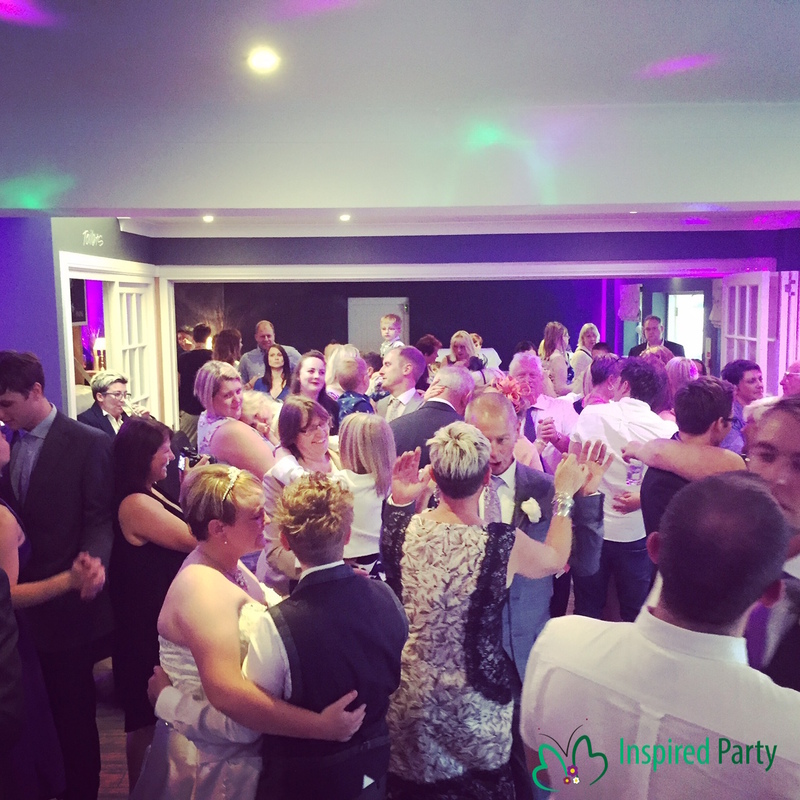 We pride ourselves on making sure that no one else does it better than Inspired Party. 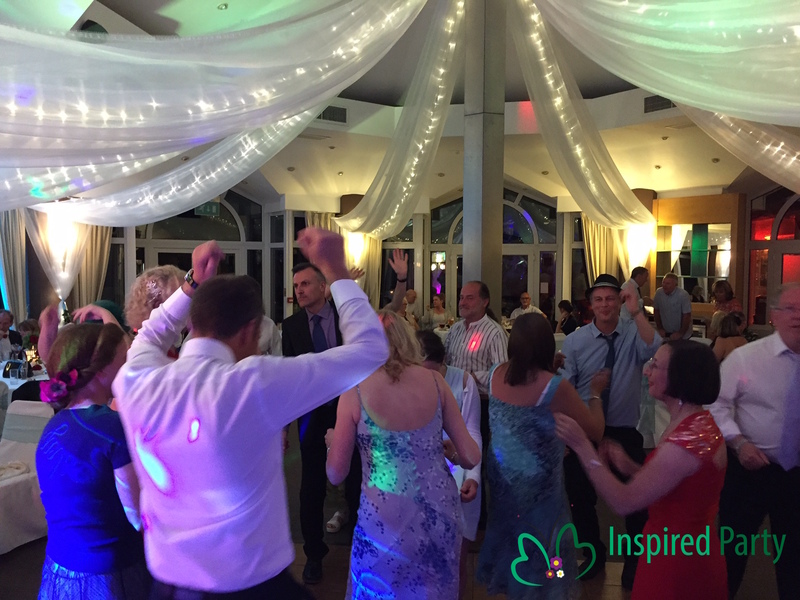 Follow us on Facebook to see all of our latest pictures and updates. 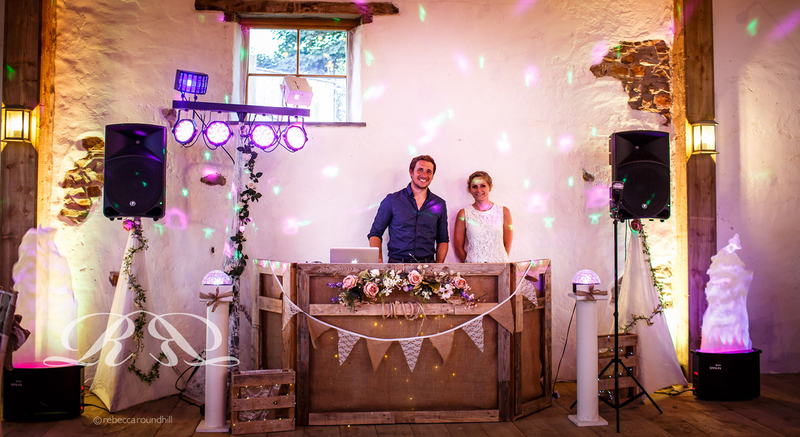 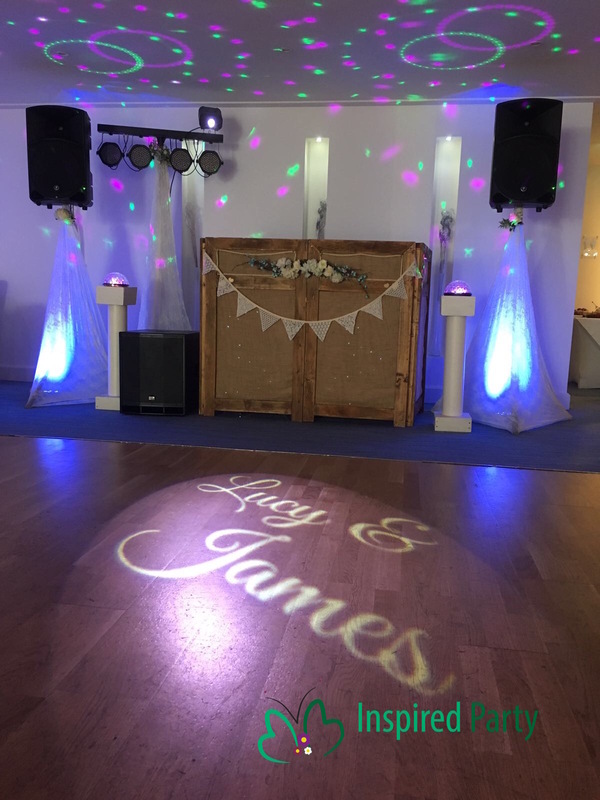 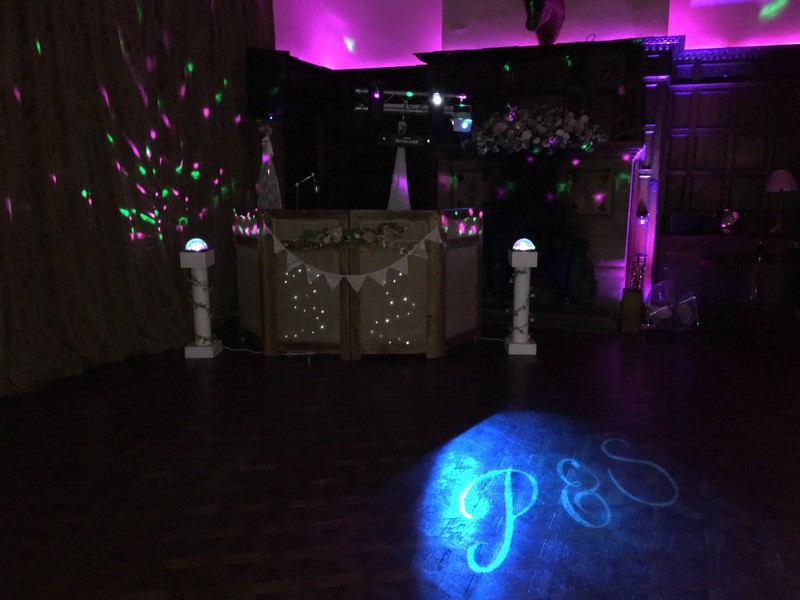 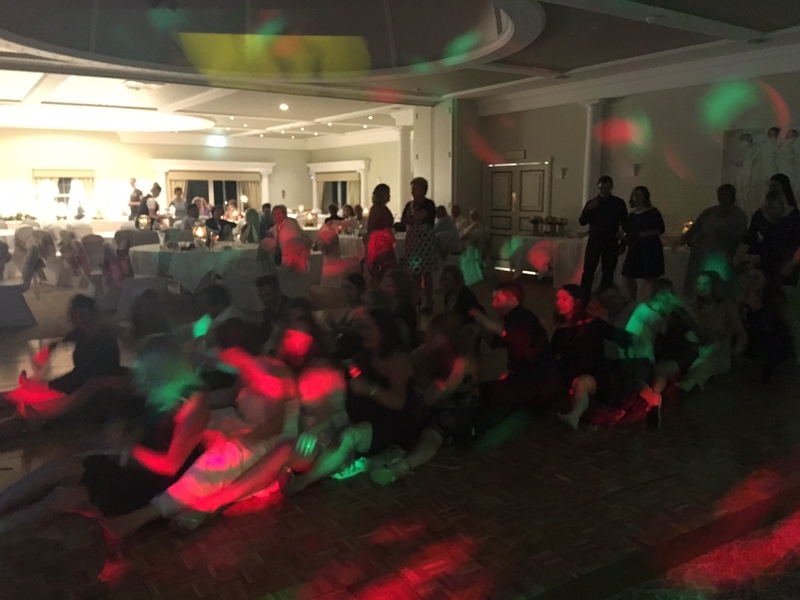 Book us to DJ your wedding or event and we will create the perfect look, mood and of course a buzzing dance floor right up until the last track. 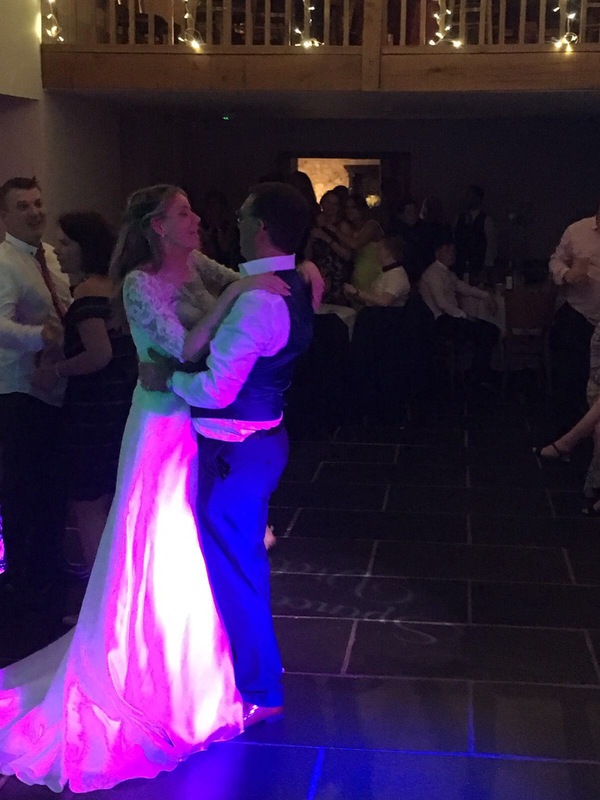 Each couple and wedding are different and we provide a customer service that can’t be beaten from the first point of contact to ensure you end up with your perfect night. 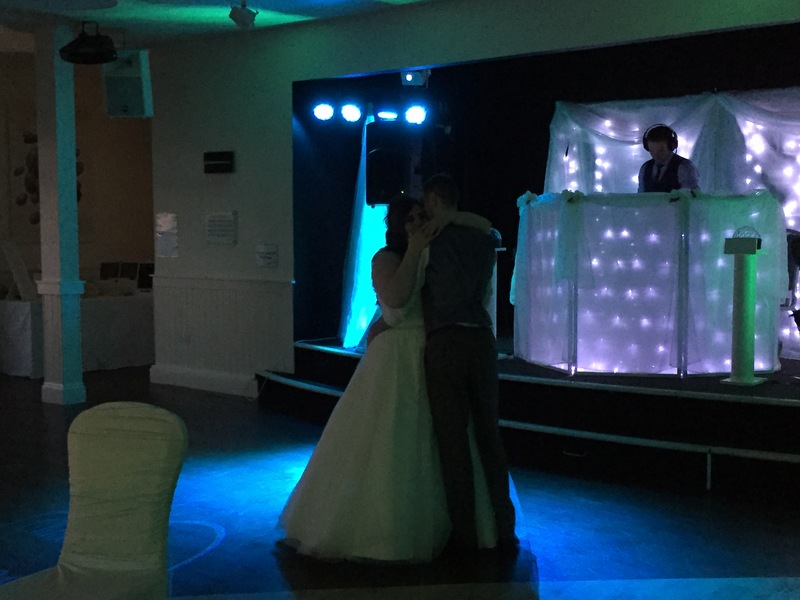 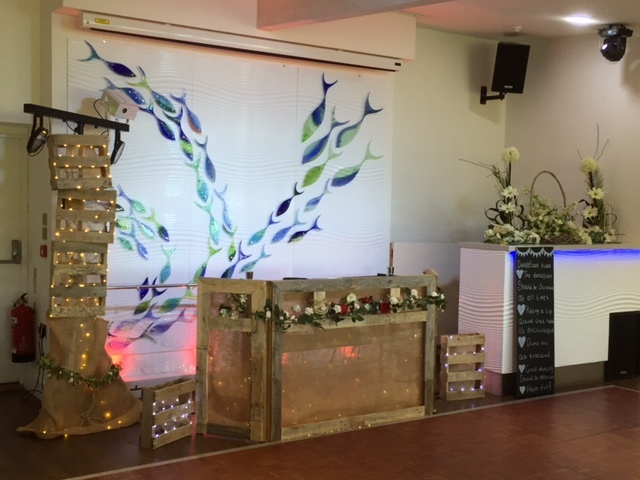 We can tailor our packages exactly to suit your needs and can include full room uplighting, personalised projection backdrop lighting, Giant LOVE Letters, a completly personalised playlist, first dance track editing as well as a gorgeous themed feature setup not seen anywhere else on the circuit amongst many other wonderful extra’s. 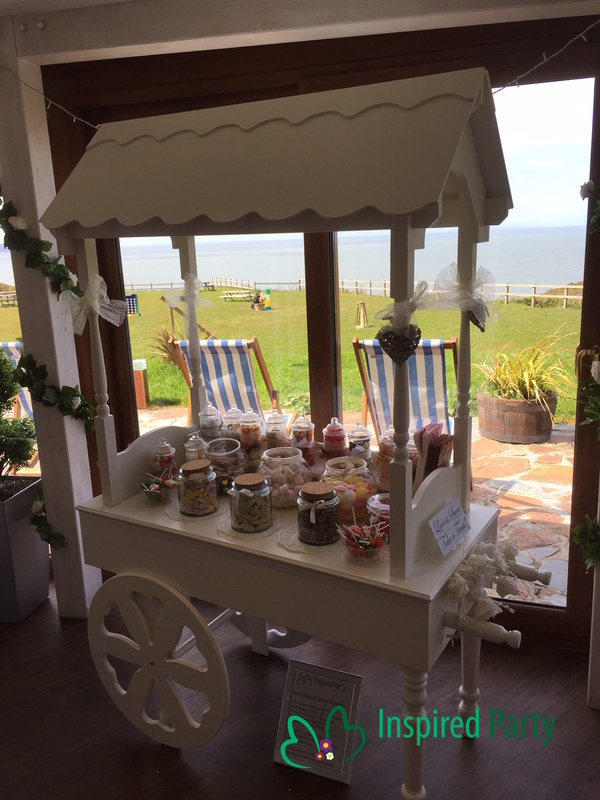 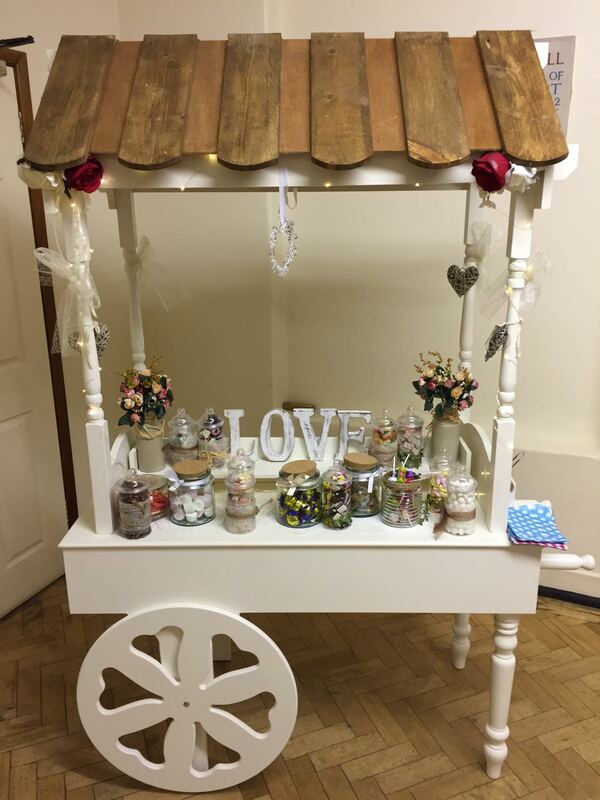 Our Beautiful Vintage Candy Cart fully loaded and customised with personalised sweetie bags. 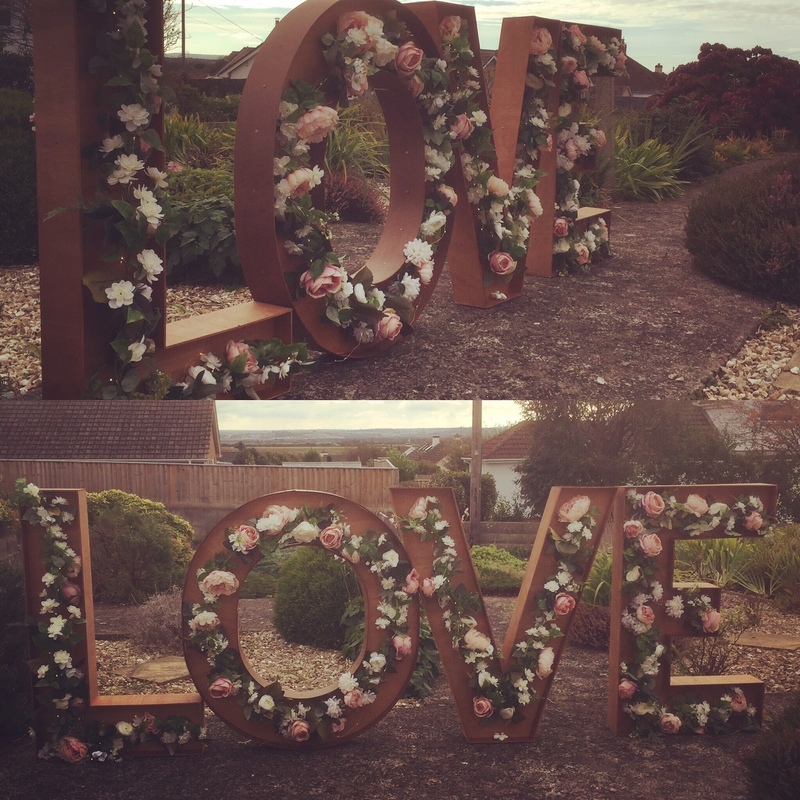 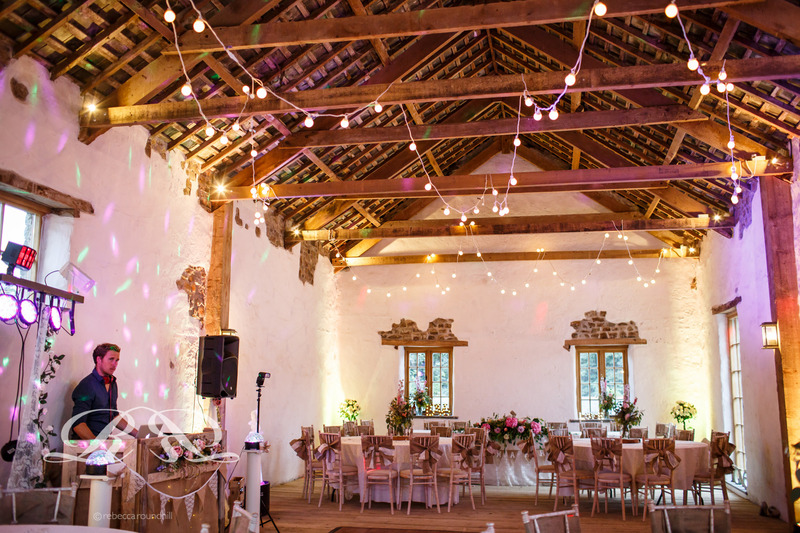 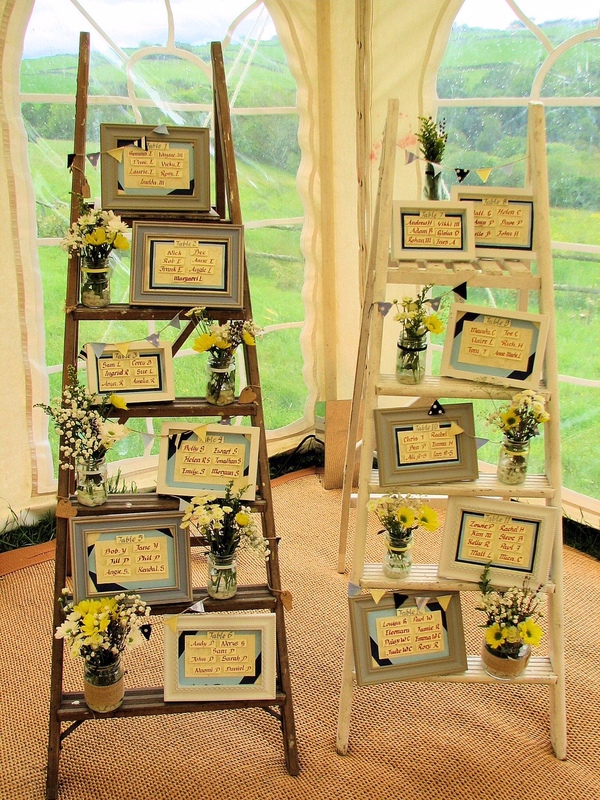 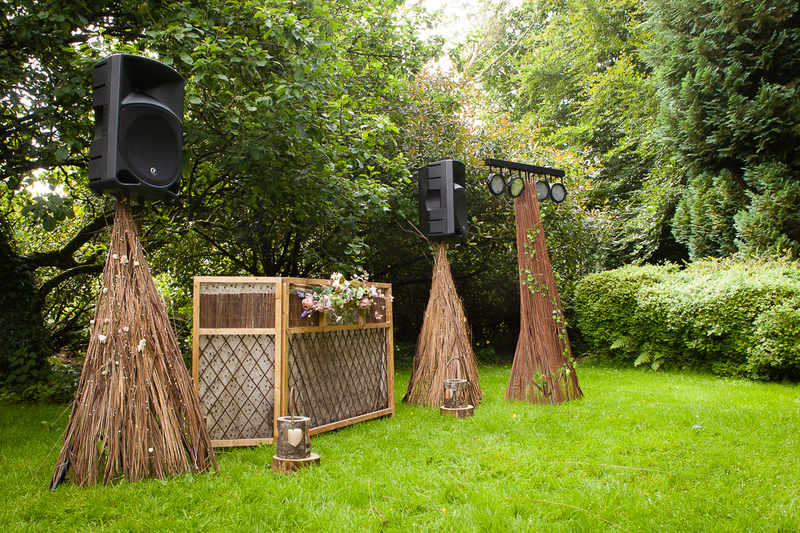 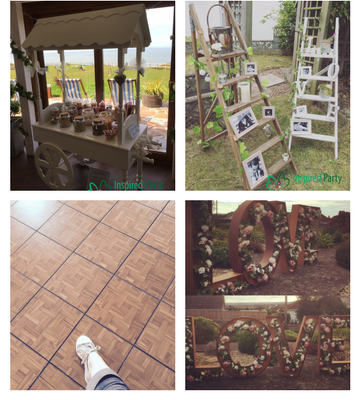 Giant Rustic LOVE letters for the ultimate party wow factor – filled with customised flowers and lights. 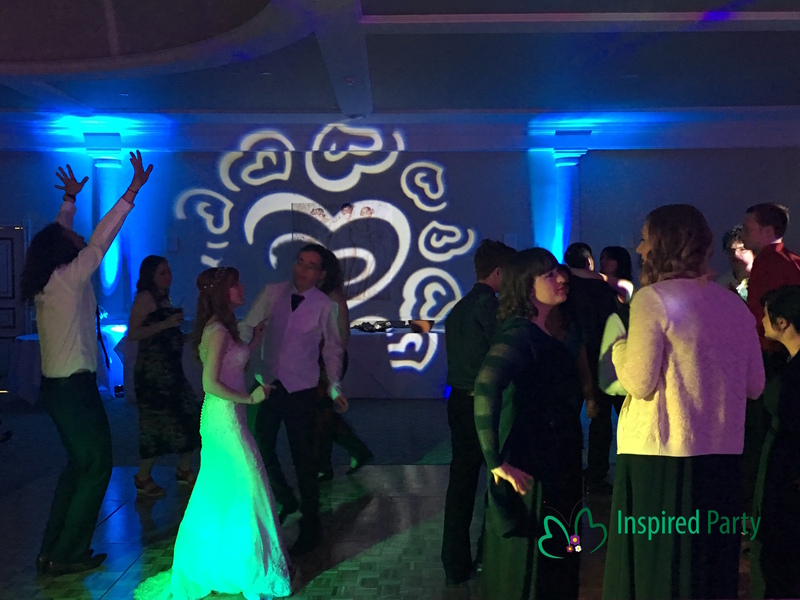 Truly unique and beautiful. 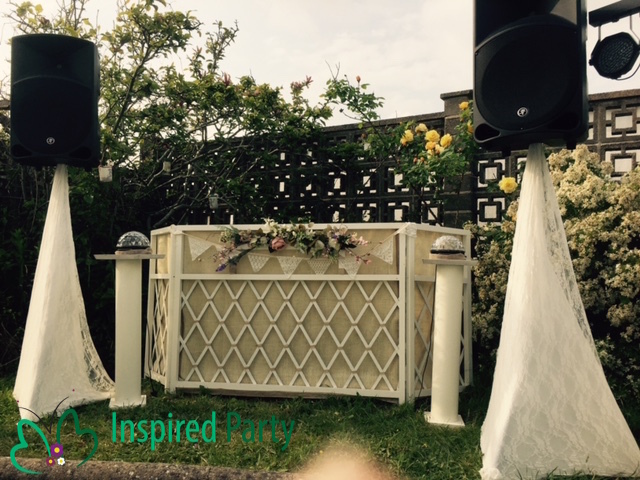 Let Inspired Party look after your every party need. 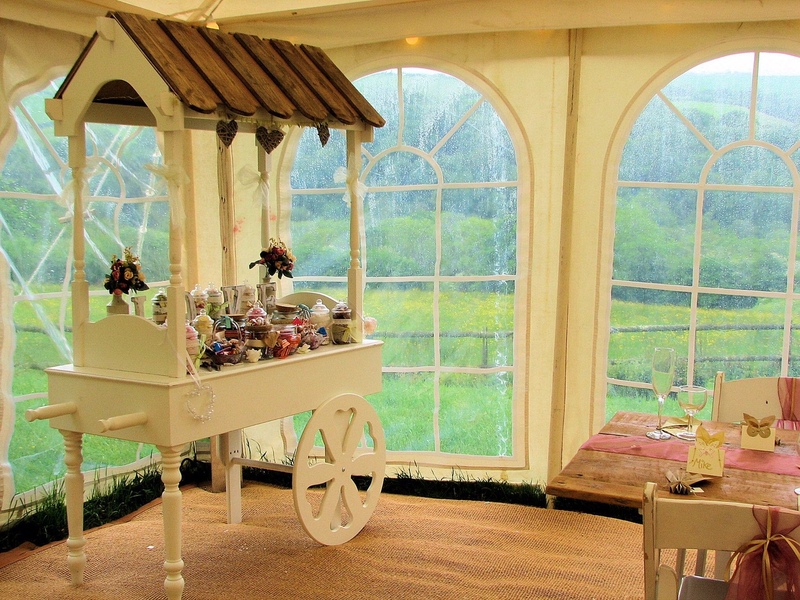 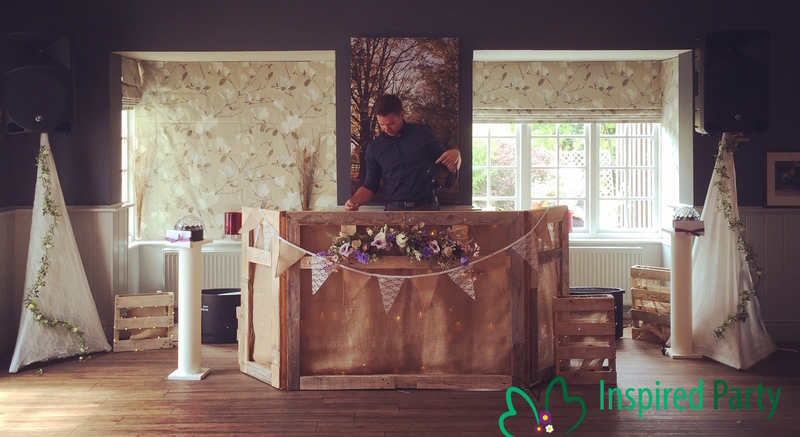 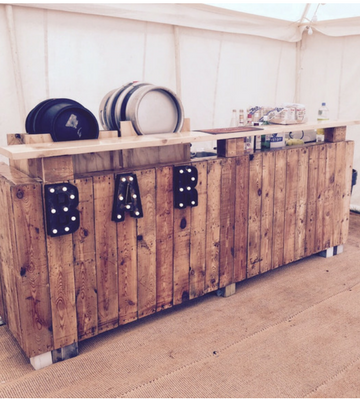 We can provide a completely tailored Mobile Bar Service using our gorgeous Rustic Bar. 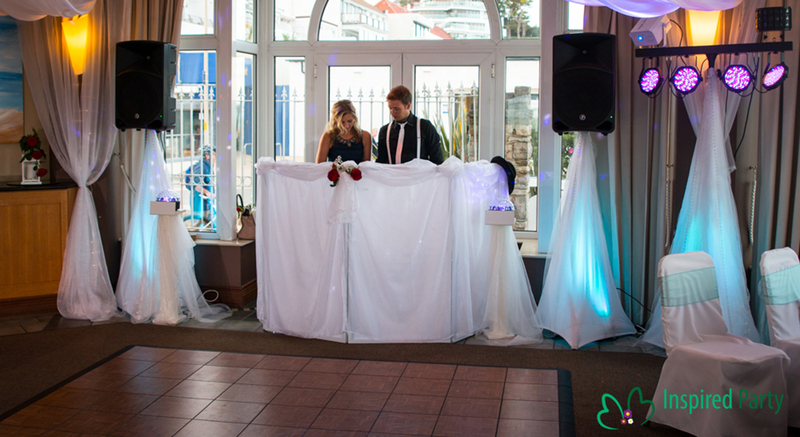 Fully licensed, we can provide the drinks you like at the times you like taking care of all aspects of service. 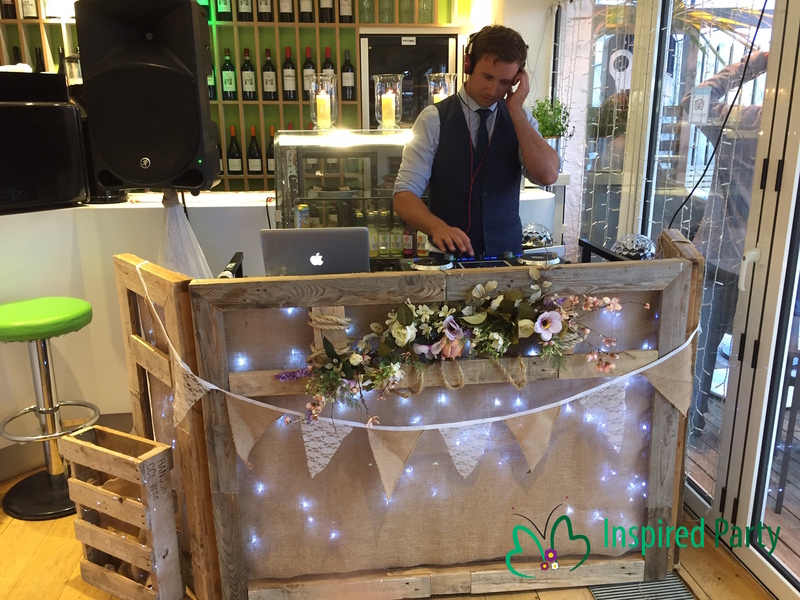 Ales to Prosecco to a custom made Cocktail! 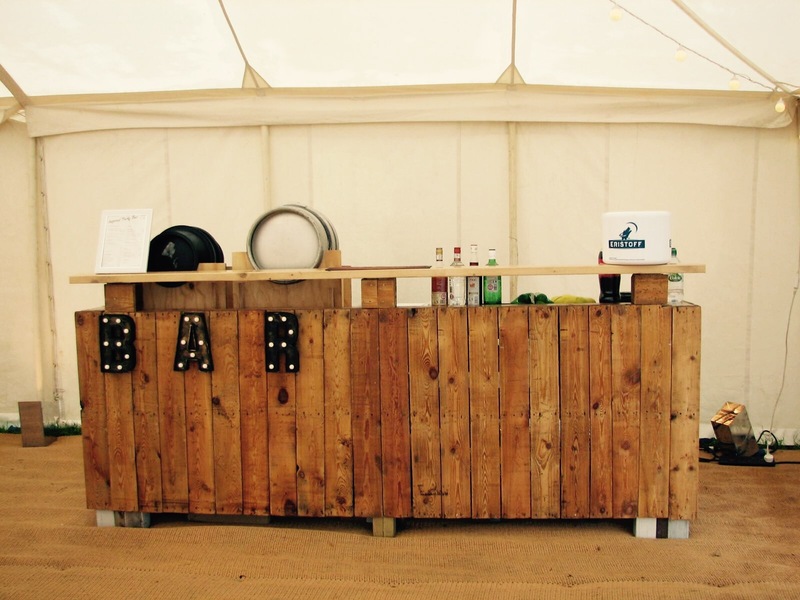 Visit www.inspiredpartybar.co.uk to find out more about the I.P Bar. 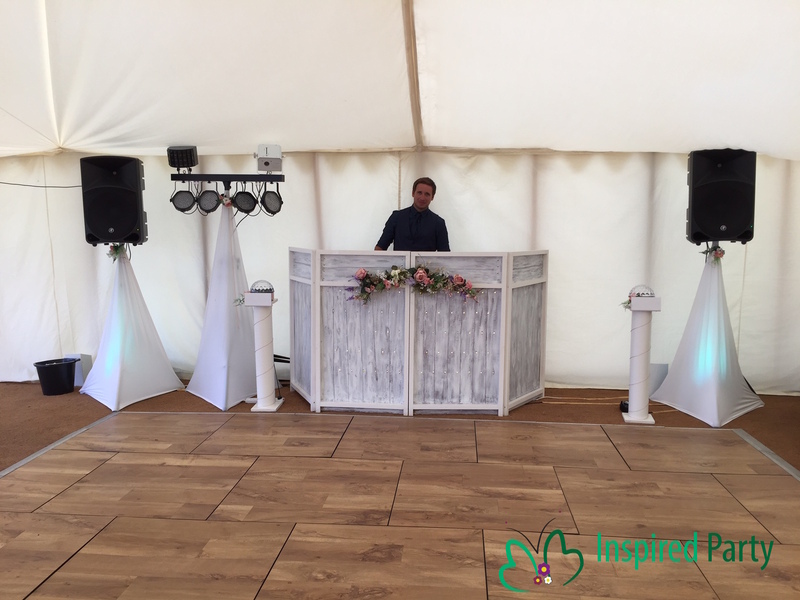 DJ Mark are a governing body seeking to ensure that venues and customers are protected from unprofessional mobile DJ’s. 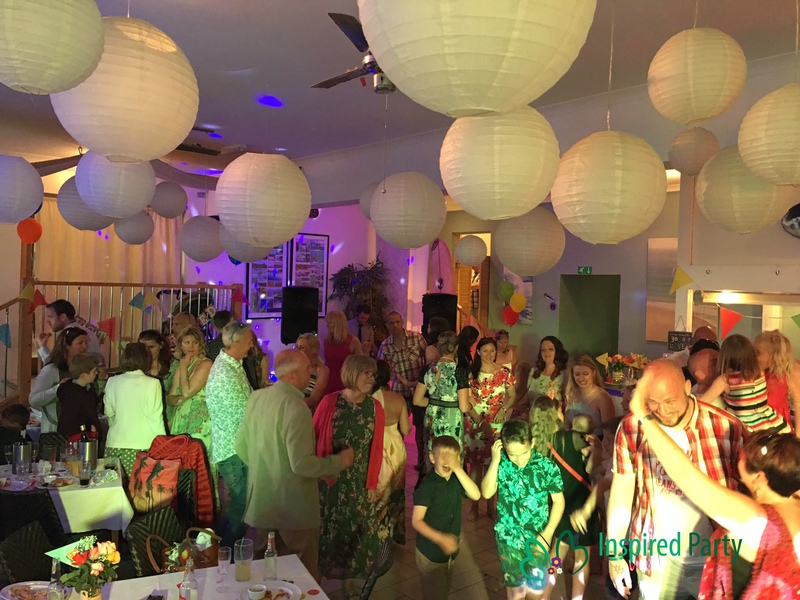 They provide accreditation through thorough background checks of their members and ensure that they have all the necessary insurance and documentation in place. To verify the Diamond Award (the highest award possible) we have achieved, and what that means, simply click the logo below. 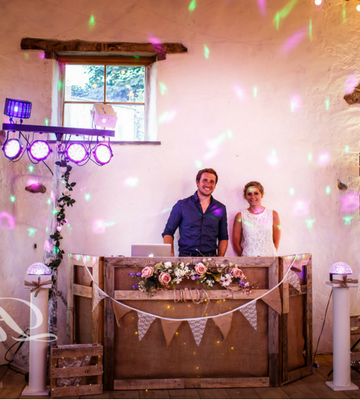 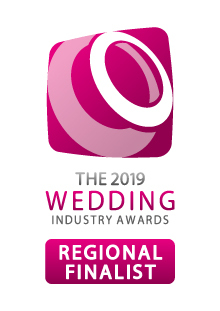 We are a member of the North Devon Wedding Network, a group that brings the best of the best suppliers together creating a one stop shop for all of your wedding service needs.